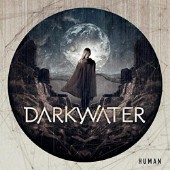 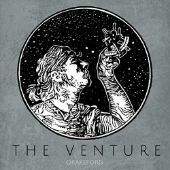 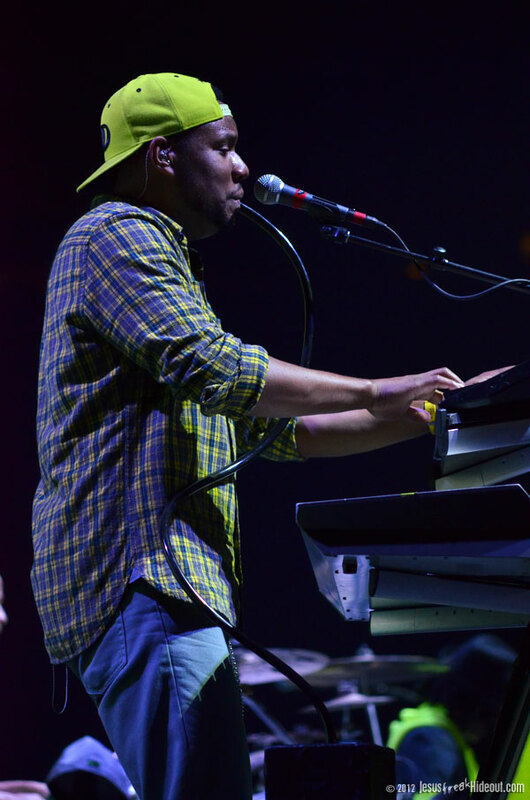 When you go to see a favorite artist on tour, you can usually expect one of two formats: several artists who play their own individual sets with no crossover or integration, or a series of artists who work together for one truly unique live experience. 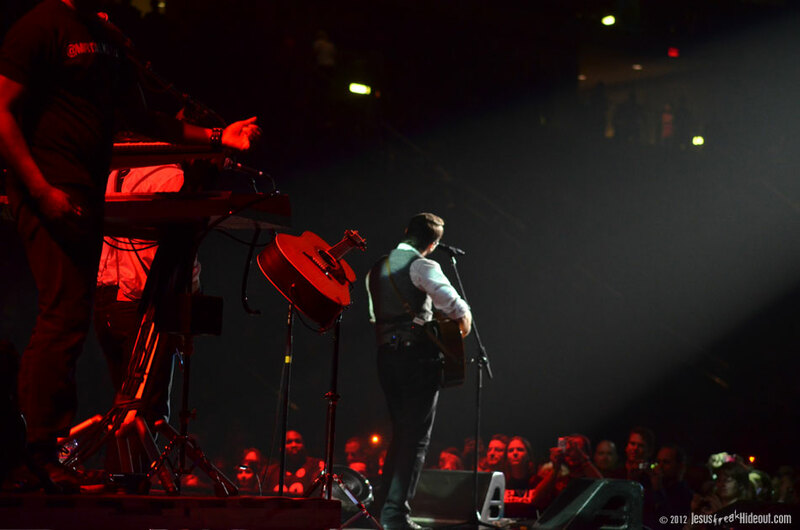 The latter often means some sacrifice when it comes to set times, but the unique experience you get can be infinitely better. 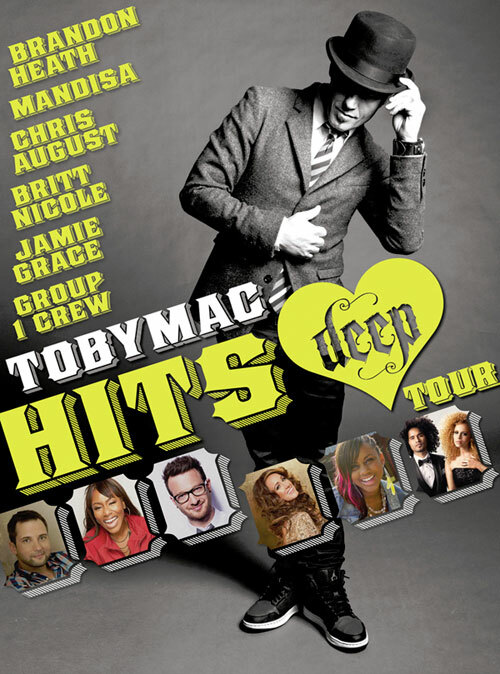 When you buy a ticket for an arena show that promises the appearances of not two or three, but seven big or up-and-coming CCM artists, you should know that you probably won't be getting any lengthy sets from any of those artists, save for maybe the headliner. 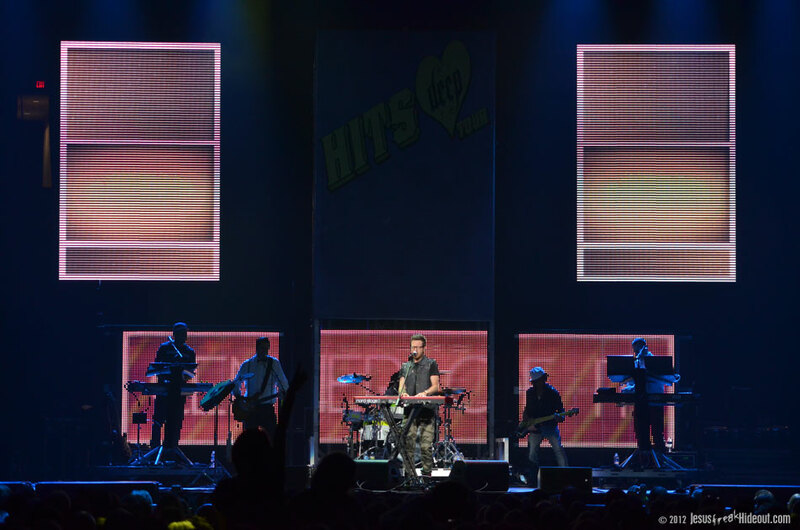 With the Hits Deep Tour, a tour that literally celebrates the hits of the individual artists on the bill for the night, each opener only got two to three songs to perform, but what the audience received in return was a truly rewarding experience that their car radio or CD player would never be able to offer. 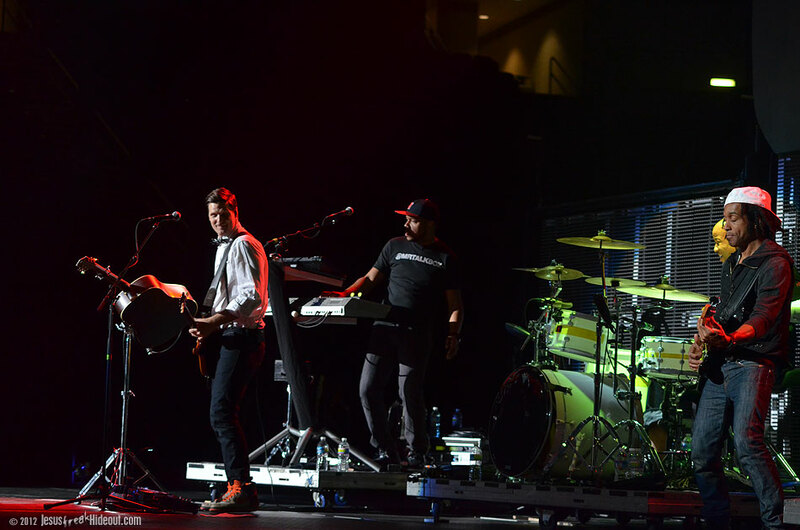 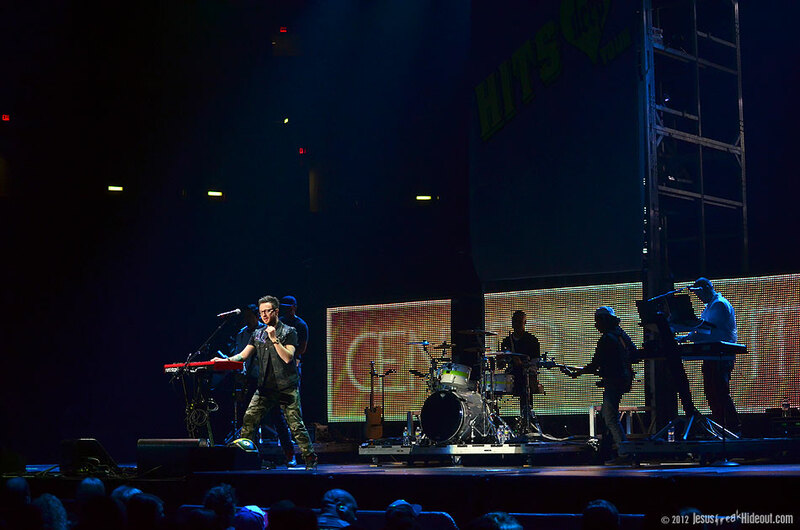 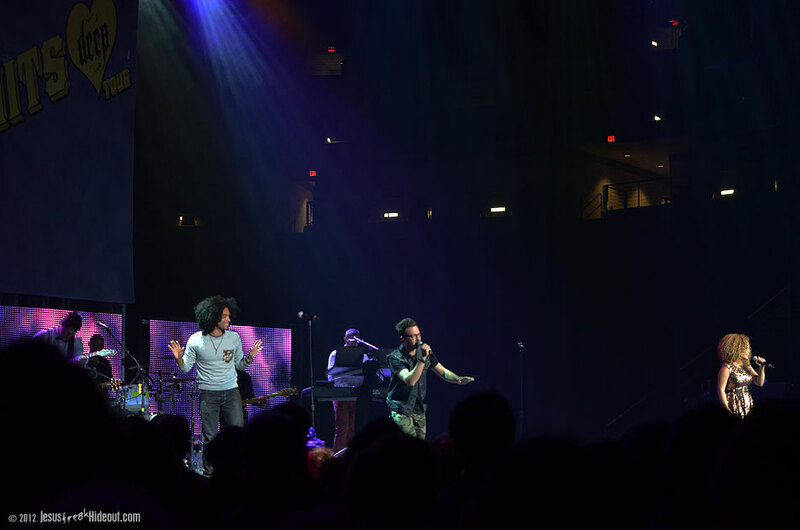 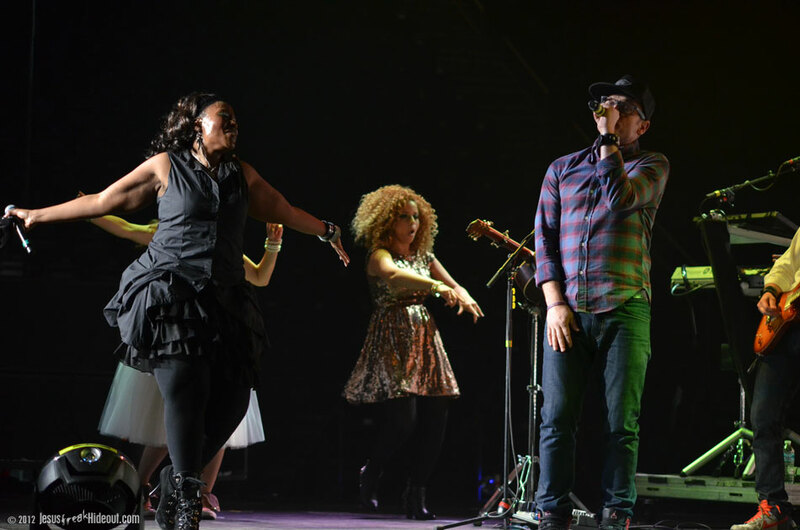 Each artist performed to a live band, but not just any live band; the evening's back-up band was none other than TobyMac's own Diverse City Band. 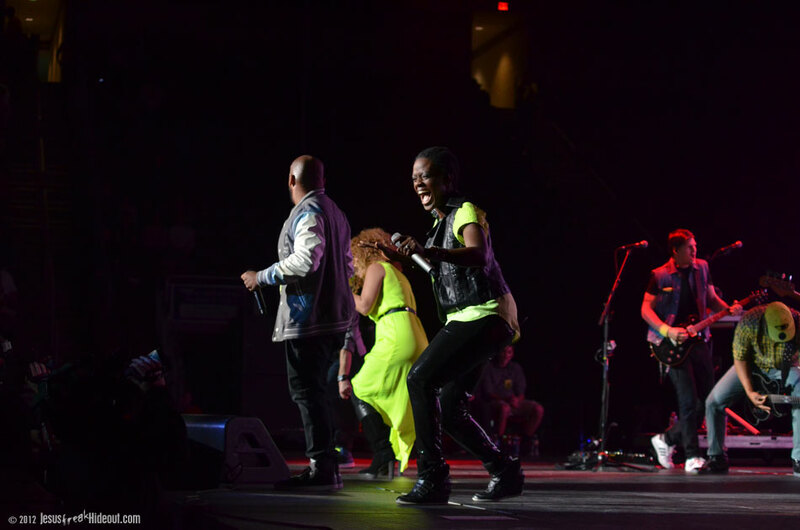 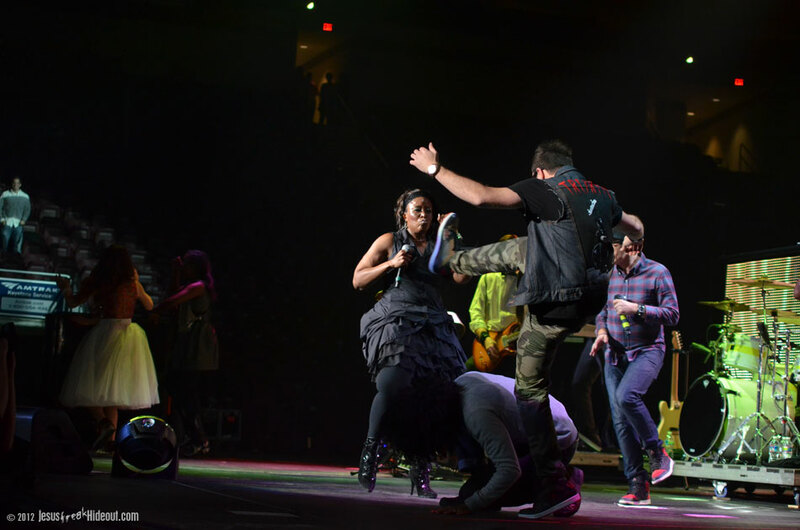 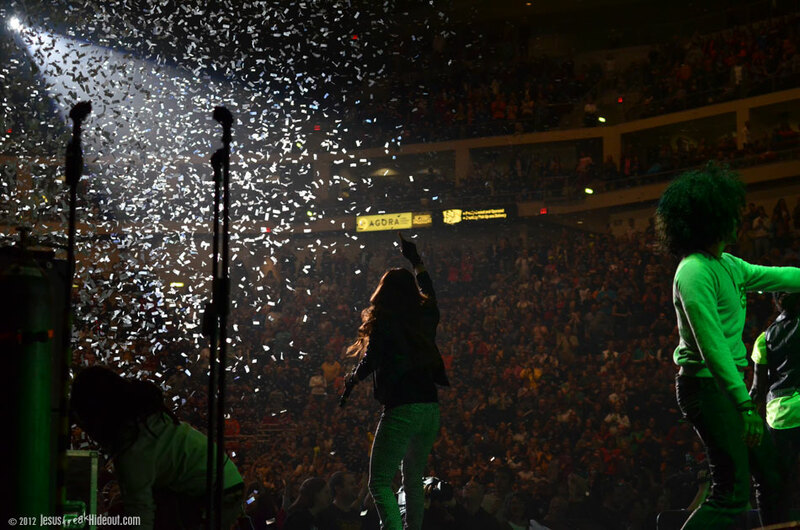 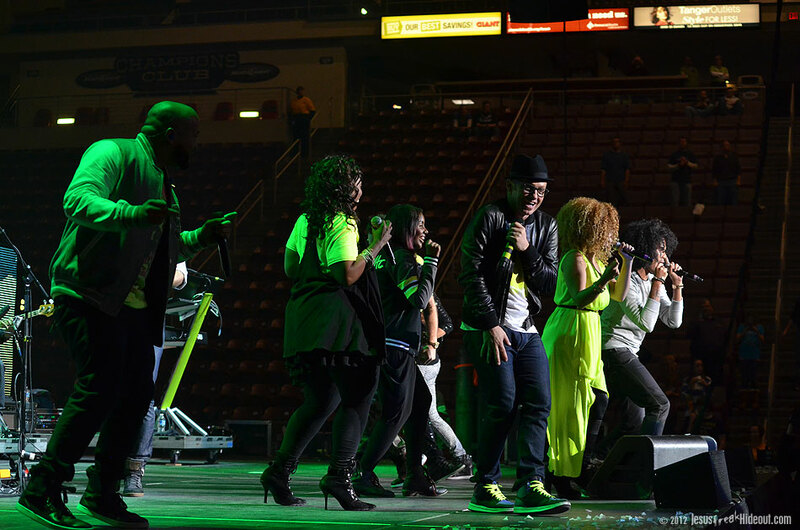 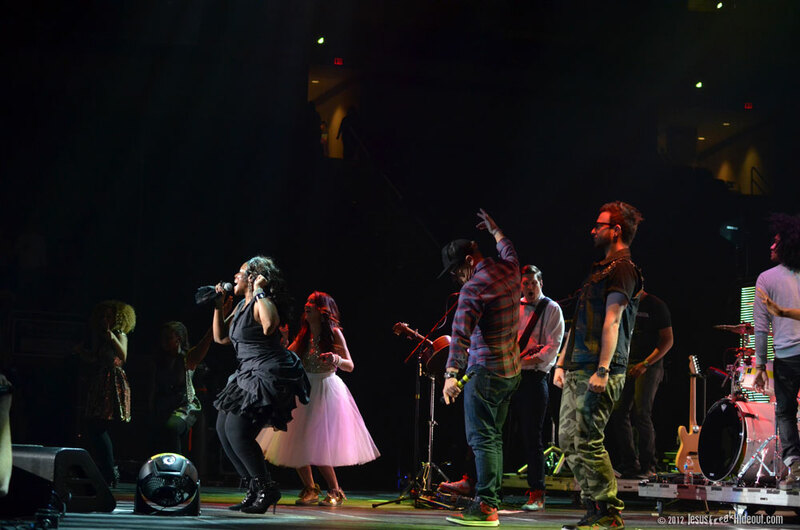 From opener Jamie Grace to the evening closer TobyMac, nearly each of the Diverse City members were on stage almost the entire night. 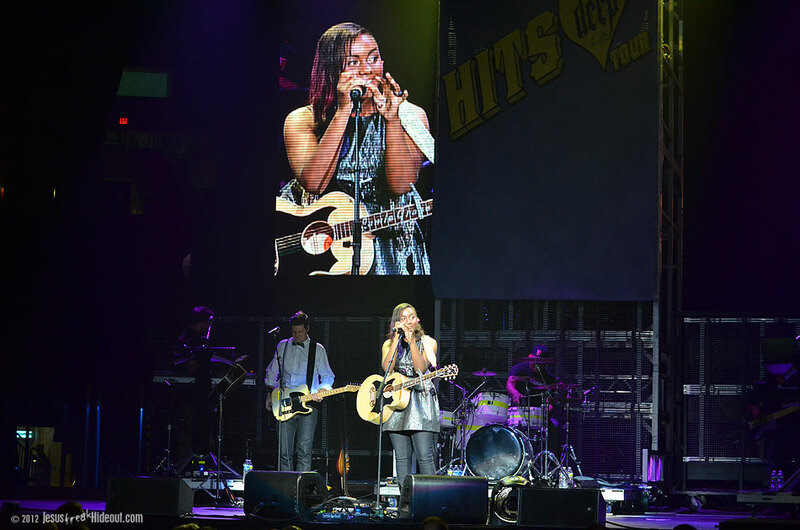 The night began with Gotee Records newcomer, and chart seeker, Jamie Grace. 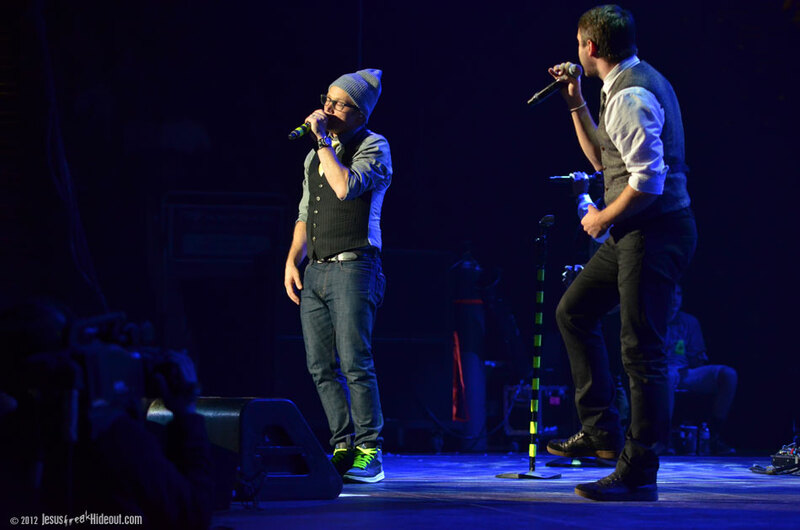 Jamie has had huge support from Toby, from being signed to his label, Gotee, and appearing on his songs, to touring together. 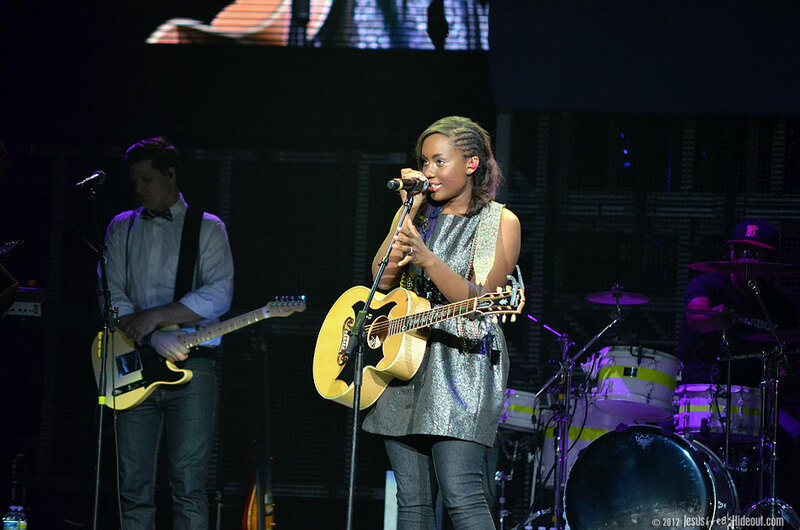 The support certainly hasn't hurt either as the young talent has been seeing quite a bit of radio success in a short amount of time. 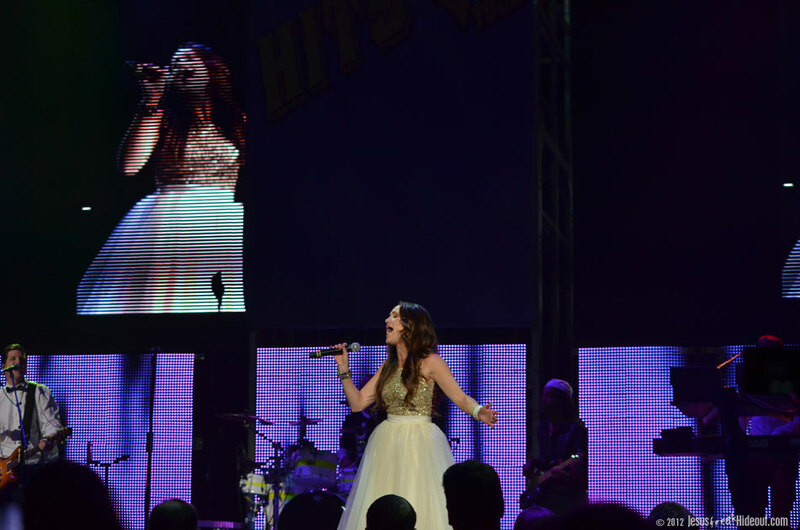 She opened first with "You Lead," from her debut album, One Song at a Time, and then took a moment to talk to the audience and share about herself. 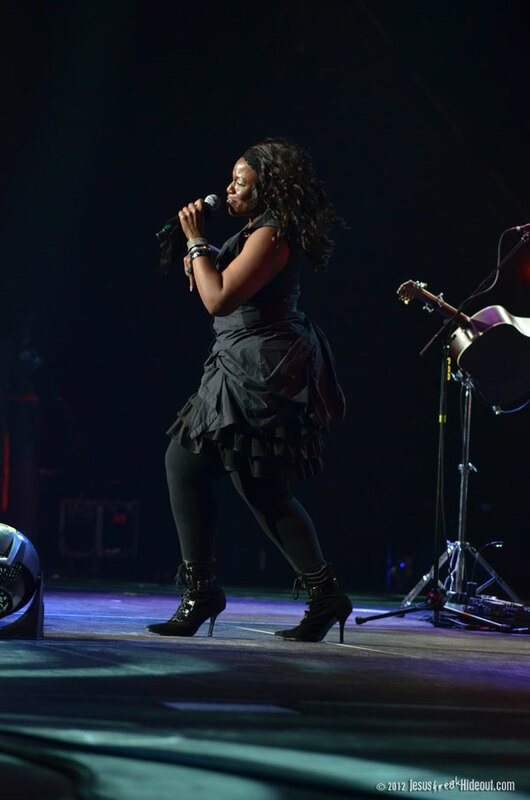 This all lead nicely into her most-known hit, "Hold Me," which she performed while on her acoustic guitar and the Diverse City band played behind her. 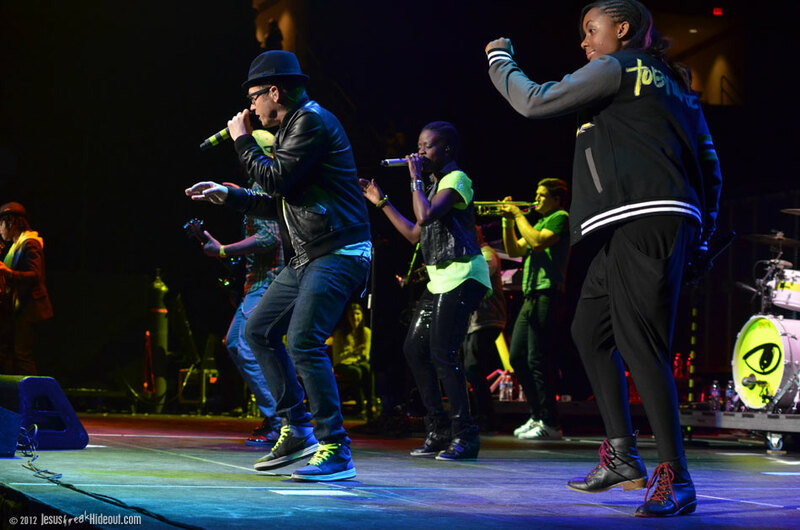 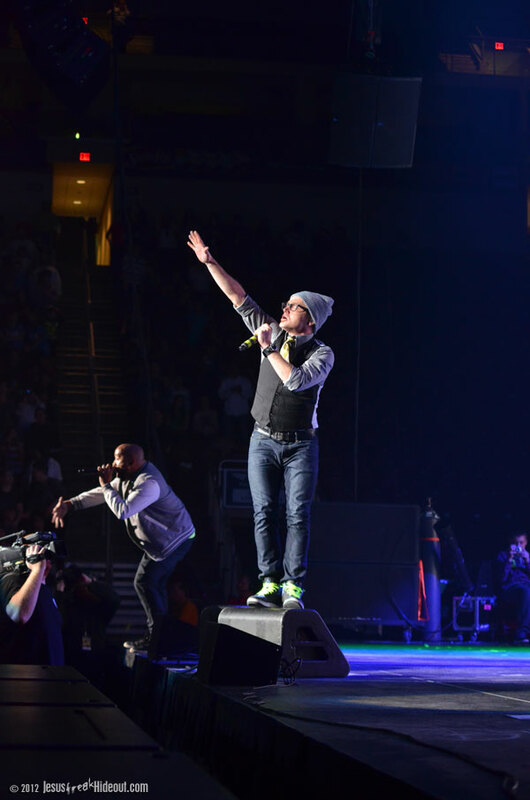 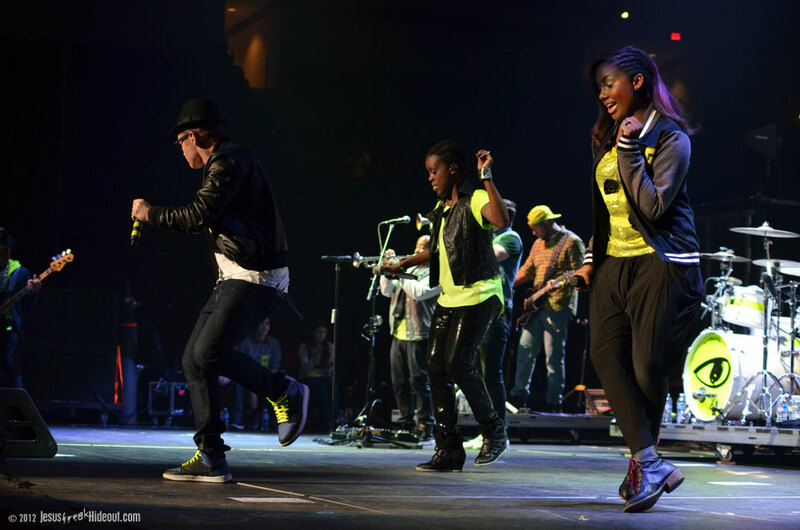 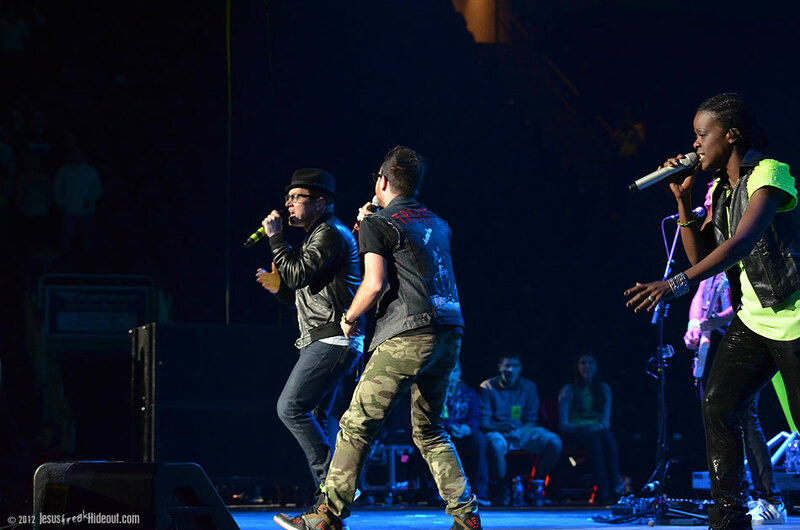 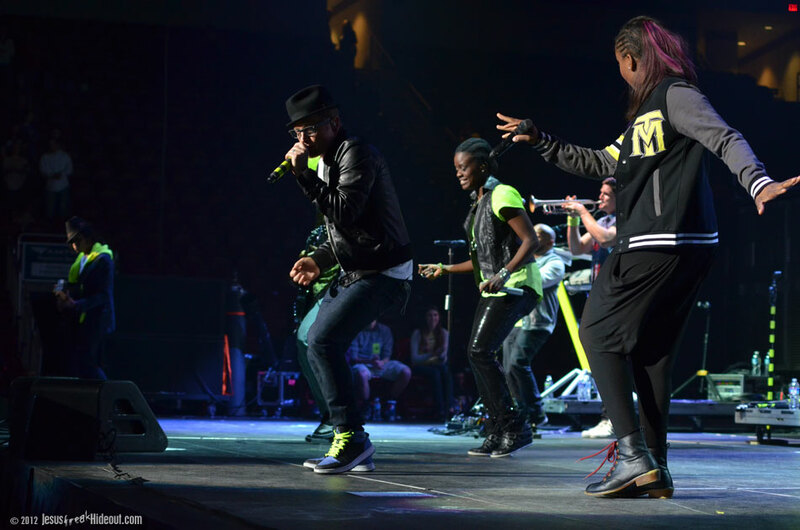 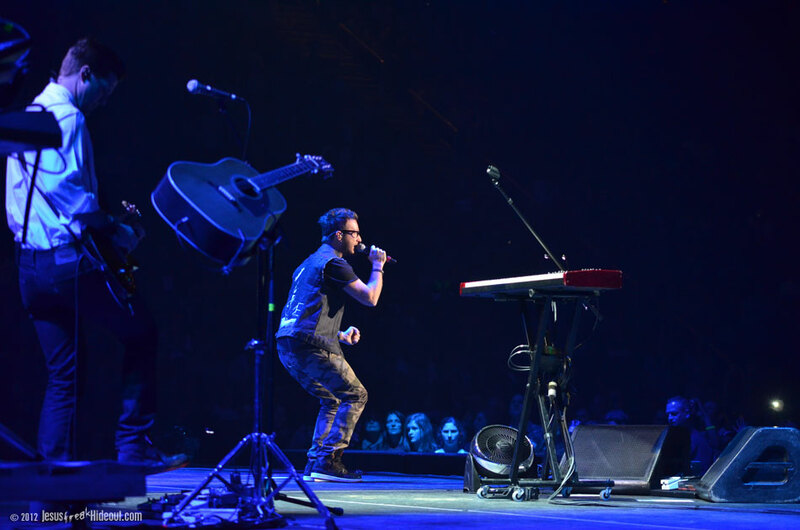 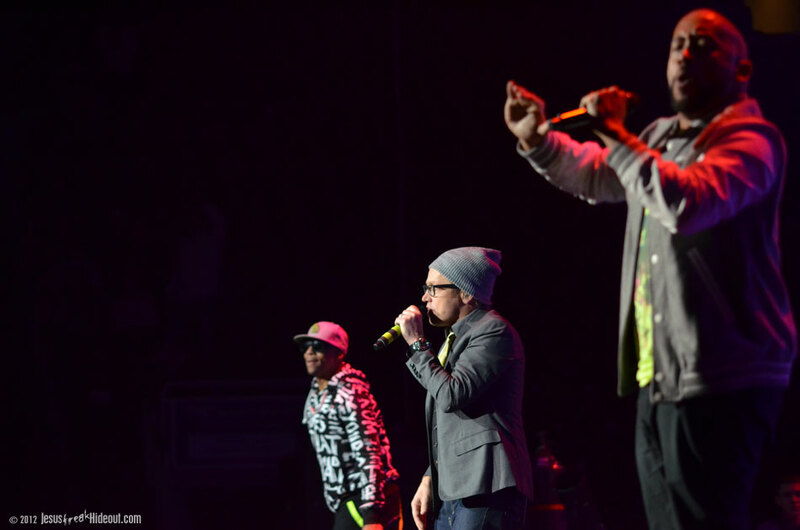 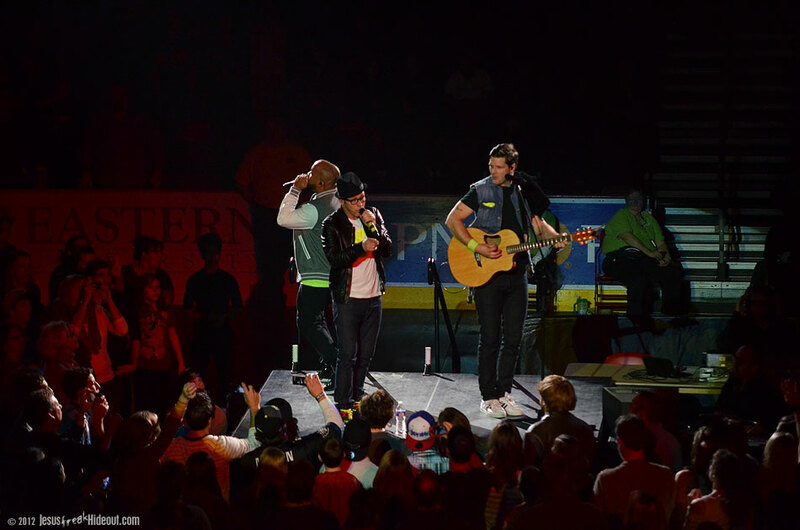 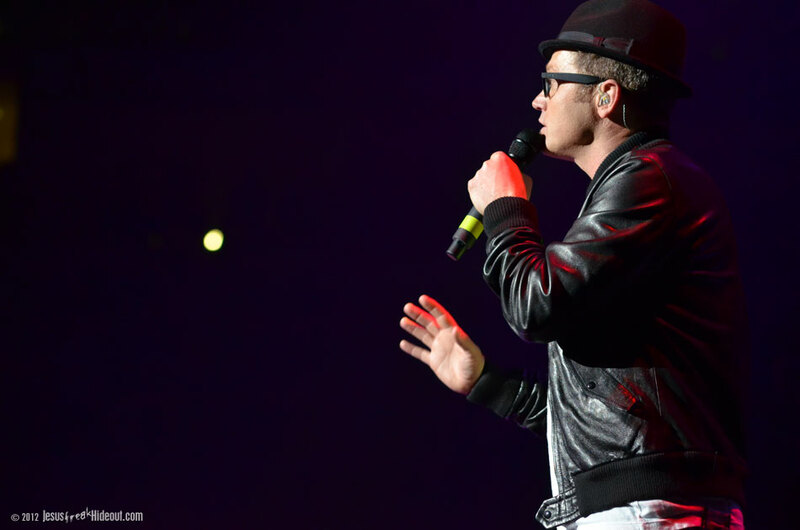 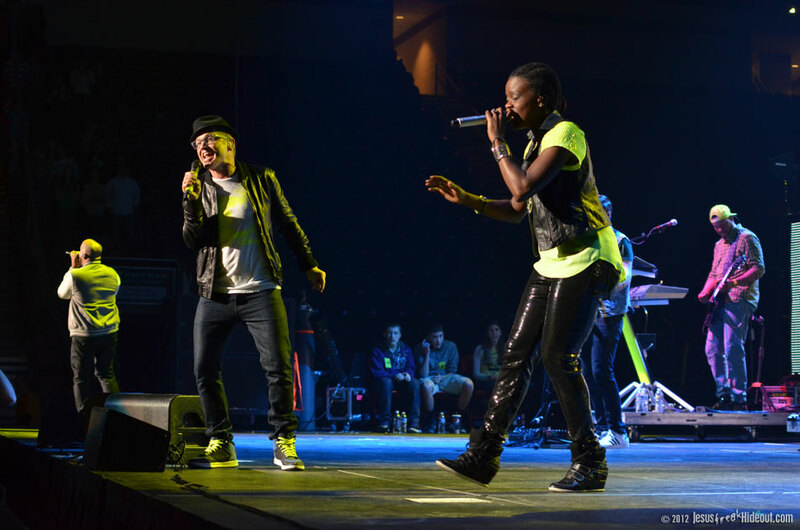 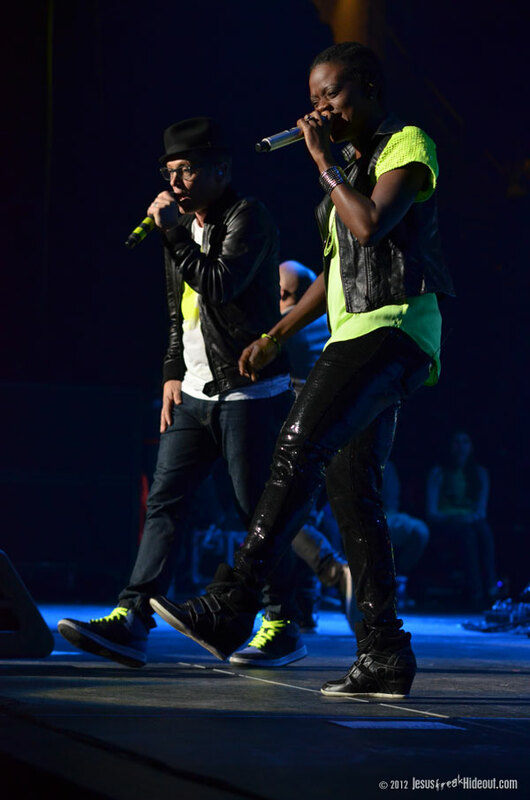 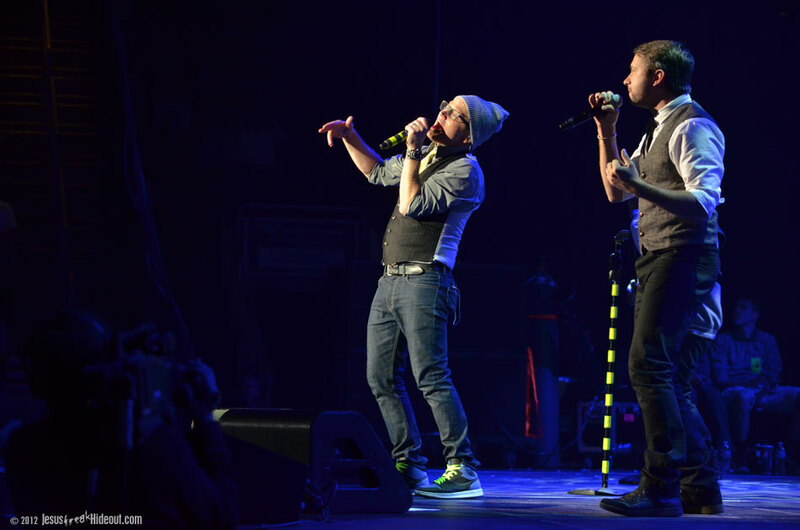 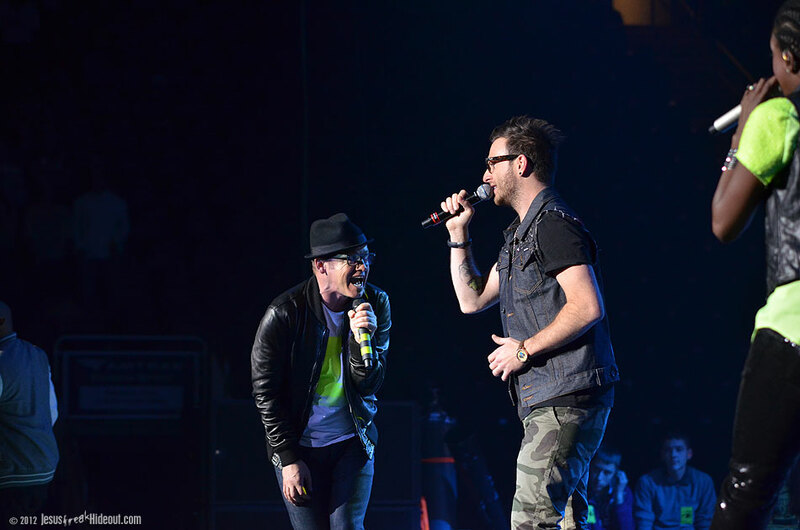 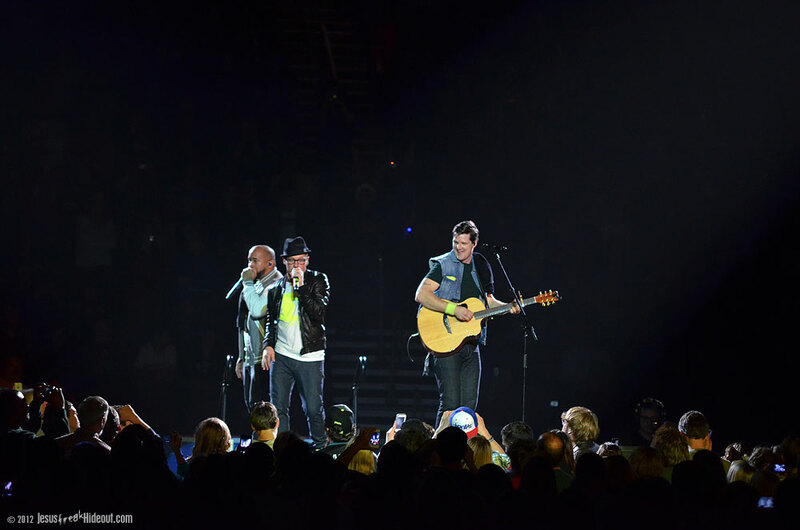 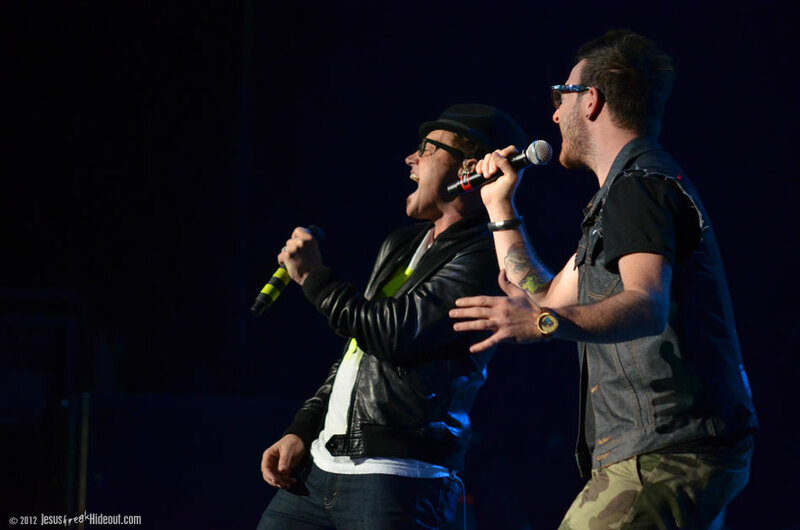 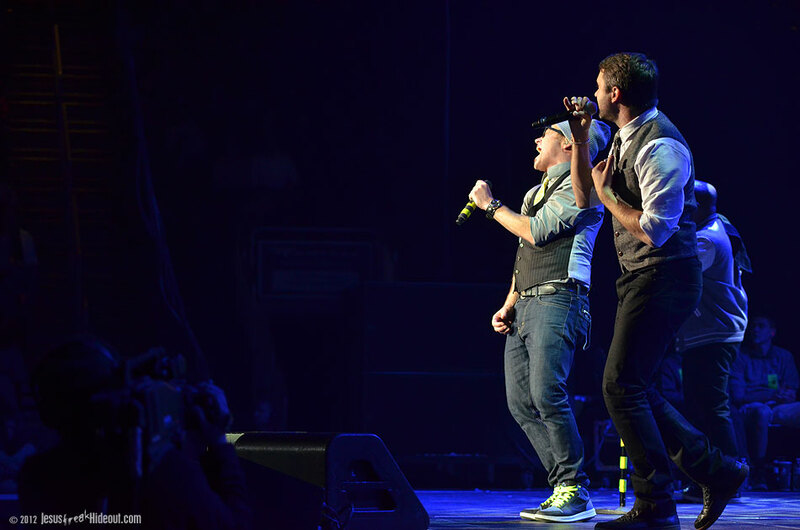 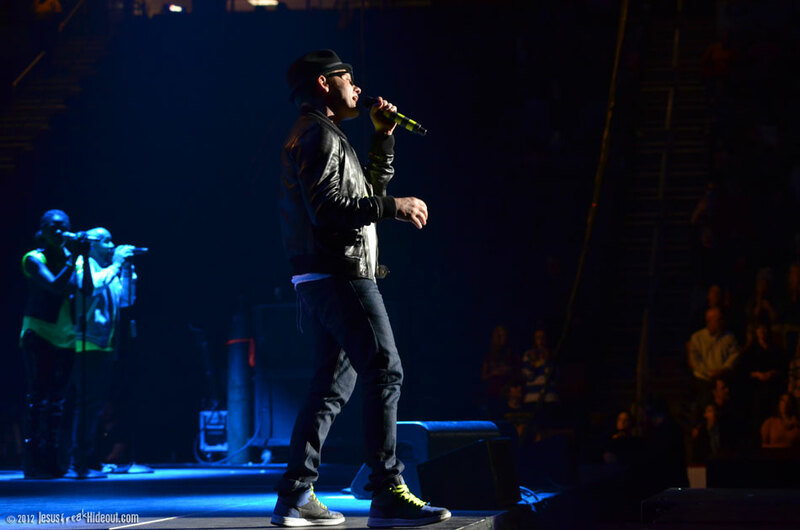 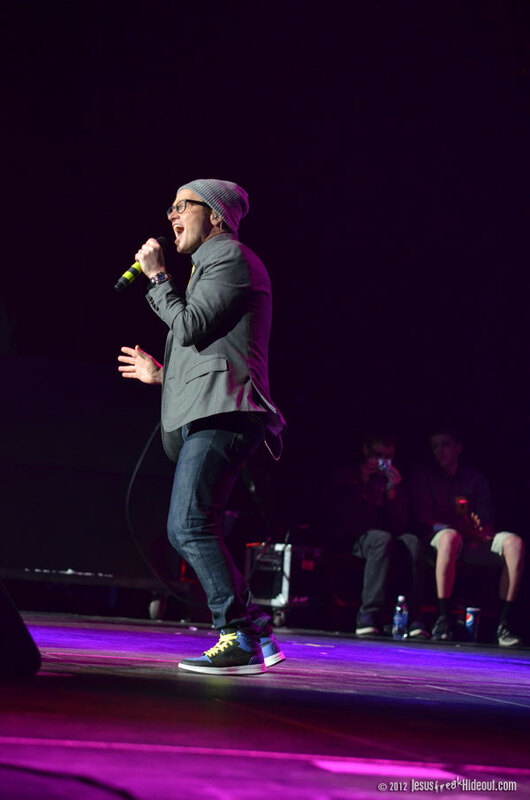 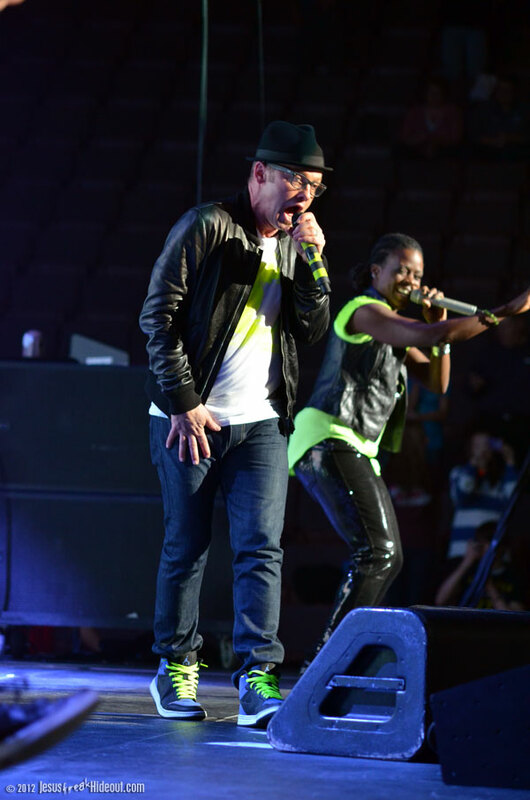 For his guest appearance part of the song, TobyMac joined Jamie to add a little spice to the night. 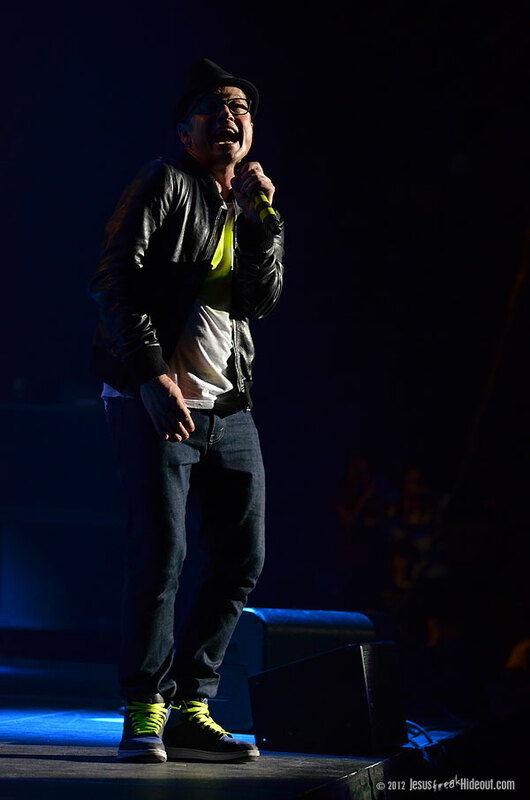 His presence garnered some serious applause from the audience, too. 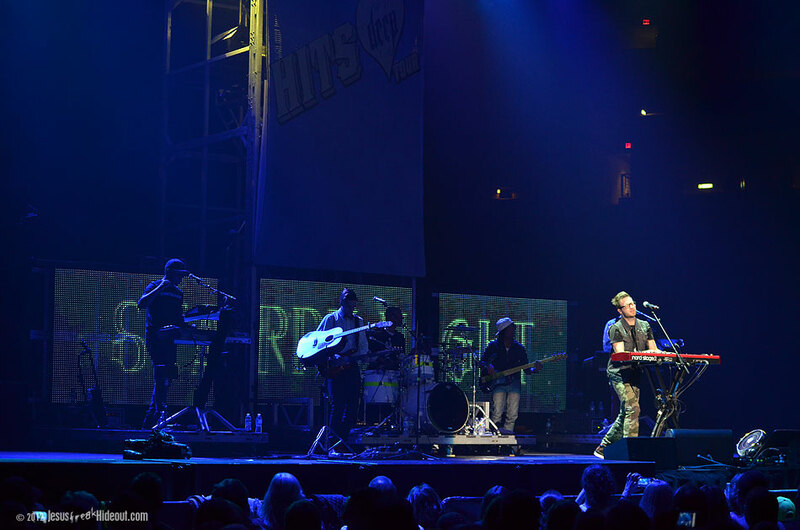 The tight integration between sets called for pretty much no set change time between performances. 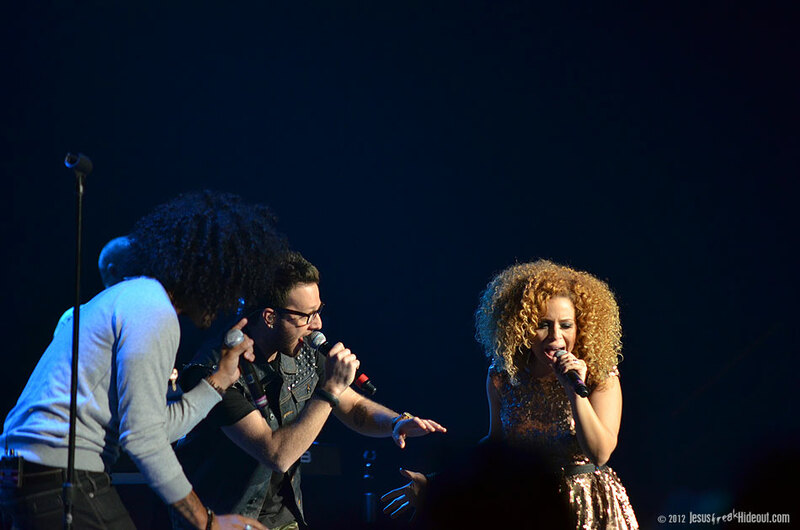 Jamie left the stage, but Toby stayed to talk briefly about the tour and then introduce the next act, Group 1 Crew. 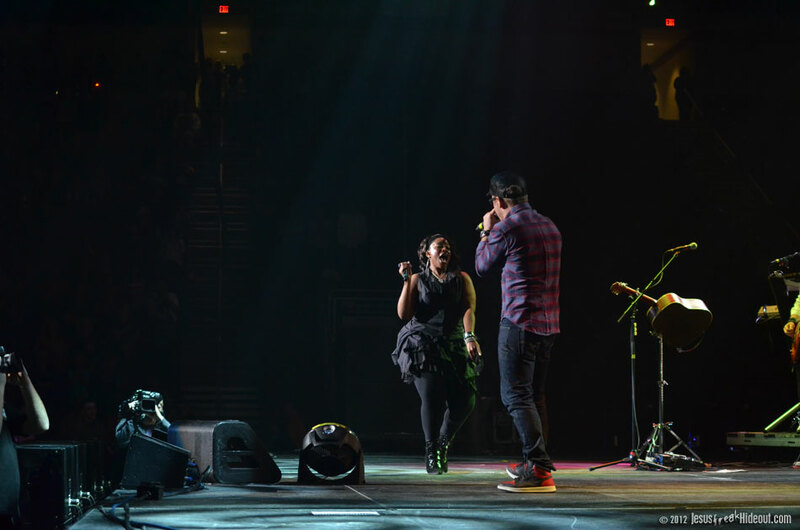 Now just a duo of Manny and Blanca, Group 1 opened with "Keys To The Kingdom" and then Blanca took a moment to share quite openly about the pain of just losing her dad a month ago. 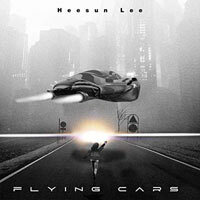 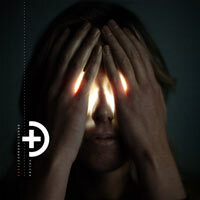 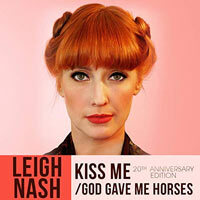 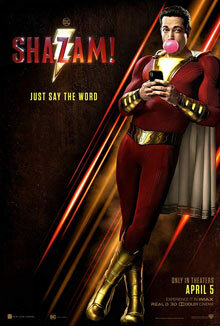 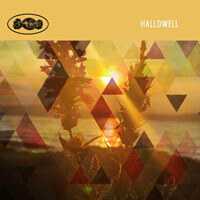 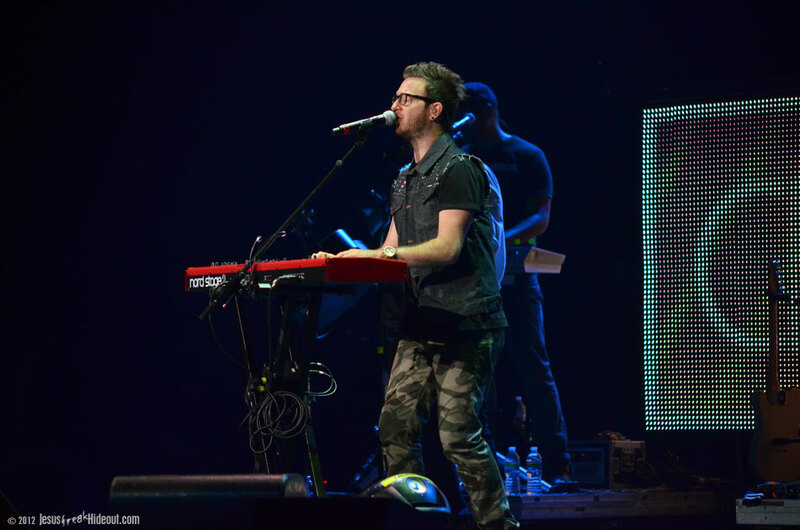 This segued into their song, "He Said," which features Chris August on the studio version of the song. 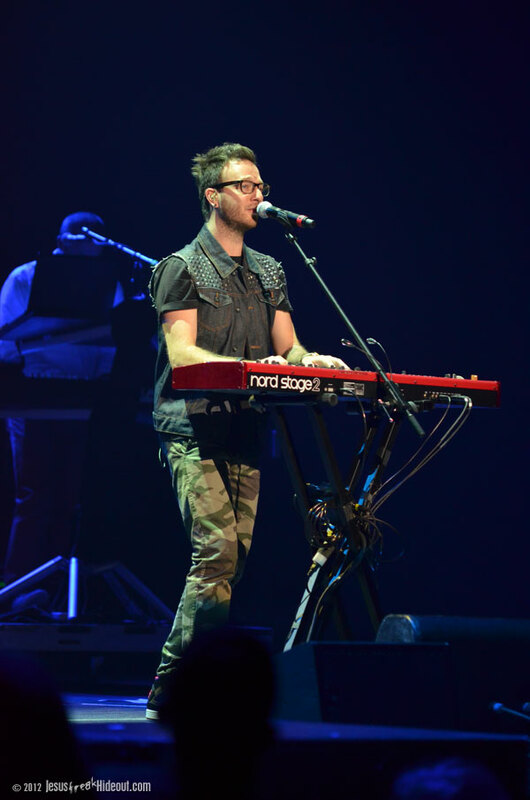 Up until this point, the singer/songwriter had been providing keys to Jamie's songs and the first Group 1 song, and now he stepped out to grab a mike and join the duo for his part on the track. 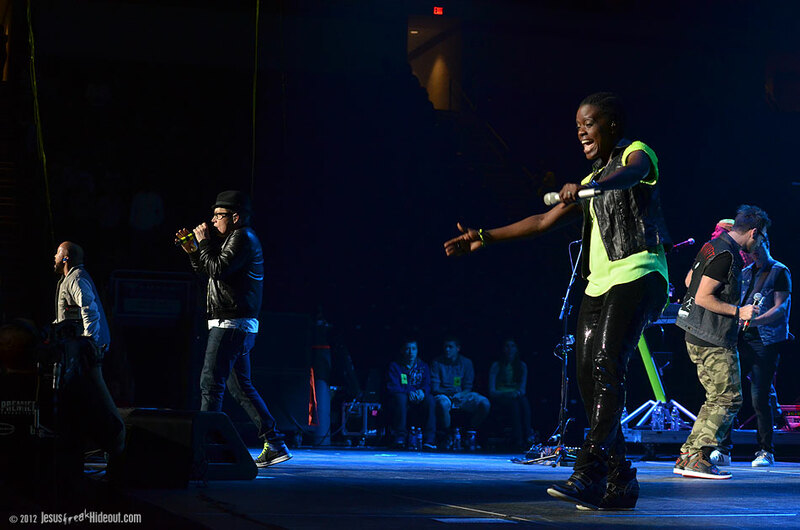 When they finished, Manny and Blanca left Chris center stage to perform on his own--who happened to be dressed more like he was part of a biker gang than a contemporary pop artist (he sported a denim jacket with cut-off sleeves and spiked studs on it, and camo pants?). 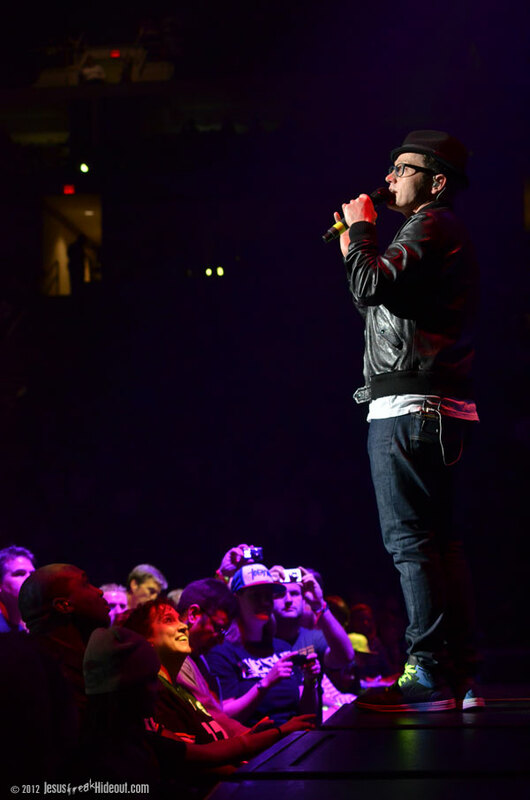 He opened with "Center of It" from his new record, The Upside of Down, and then shared a little about a nasty skateboarding accident he'd suffered earlier this year that left him with a concussion. 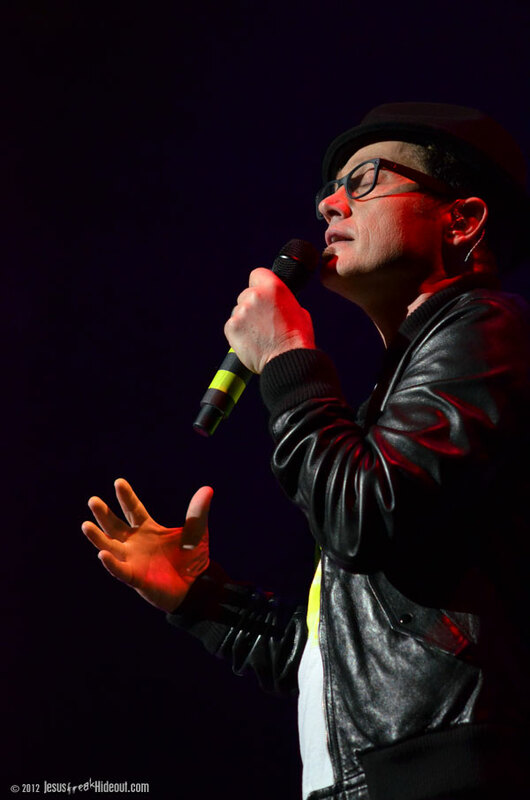 He then tied it in to his most recognizable--and biggest--single, "Starry Night," which generated a very enthusiastic response from the audience (no doubt, exciting the casual radio listeners present who love the song but don't necessarily know who sings it). 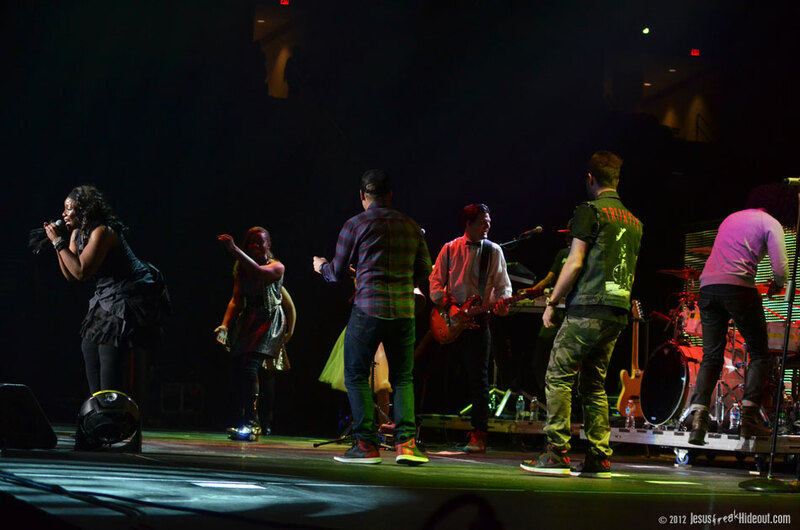 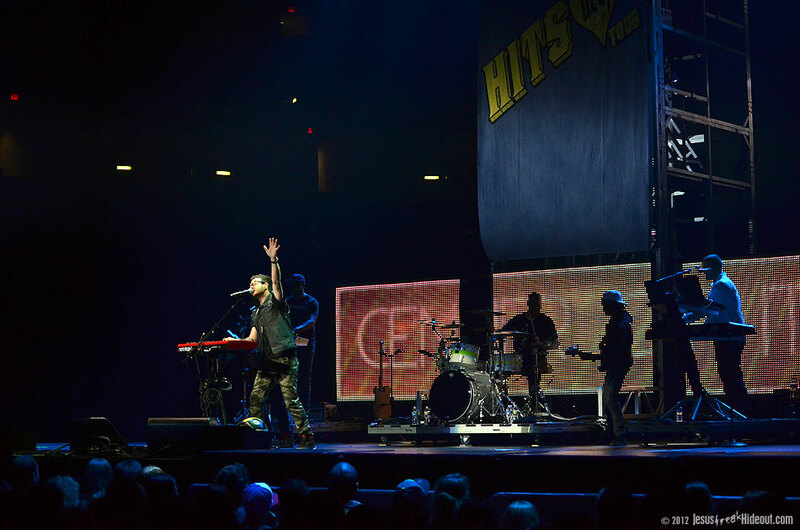 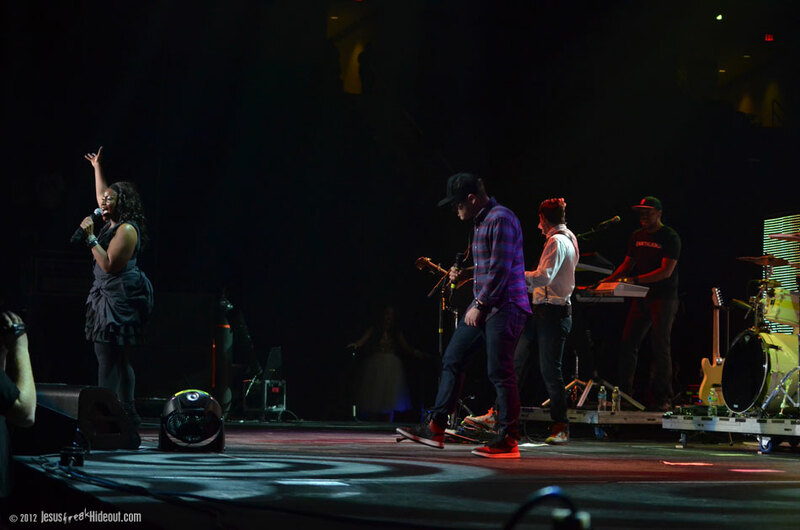 Chris then pulled his piano out of the spotlight and Britt Nicole took center stage for her set. 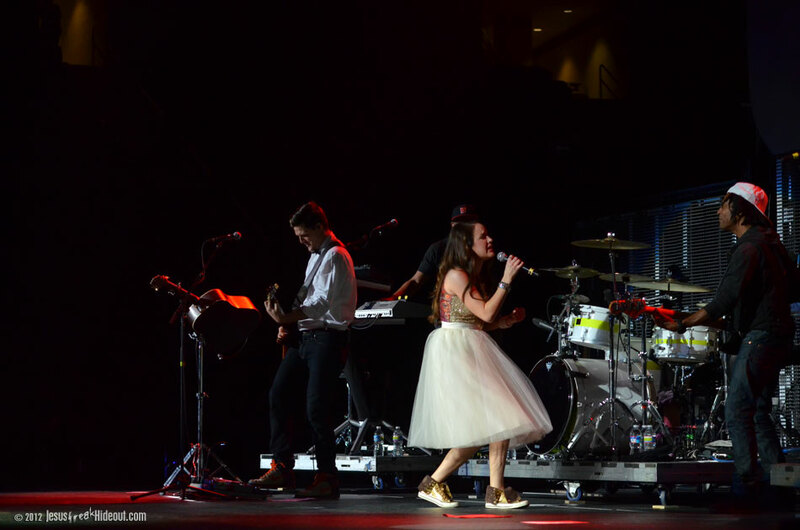 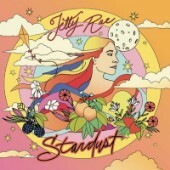 She stepped out in a white, frilly skirt and gold kicks to the tune of pop ballad "All This Time," from her latest album, Gold. 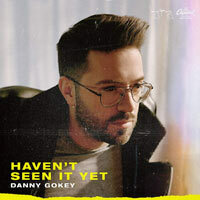 The performance comes hot on the heels of recent news, too, that the pop singer has signed with Capitol Records who have plans to re-release her album to the mainstream market (with two remixes now part of the album). 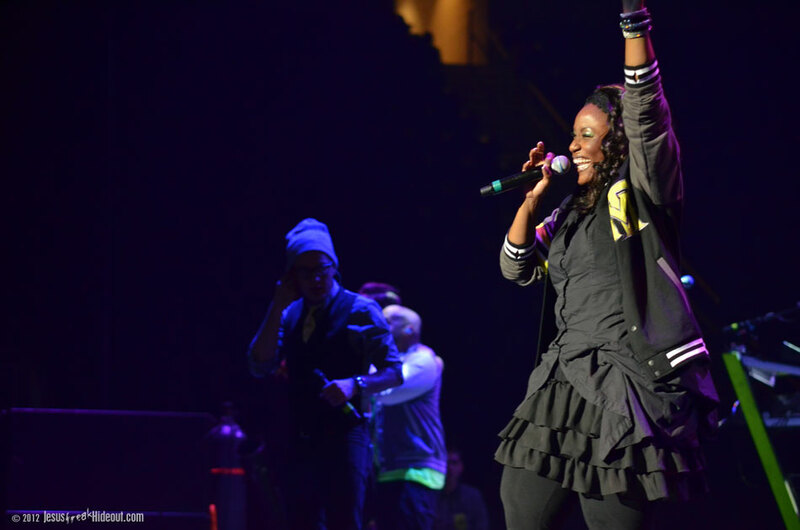 Britt then performed "The Lost Get Found" from her 2009 album of the same name, before taking a break to talk to the crowd a bit, encouraging her audience to rest in the worth God finds in them. 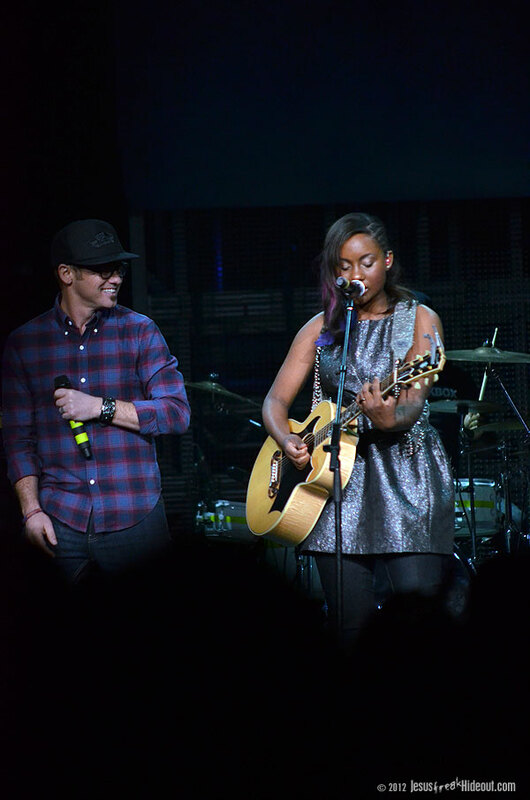 Britt then closed her set with "Gold," for which Nirva Ready joined to help with background vocals, before the Group 1 duo entered the spotlight to sing along with Britt, too. 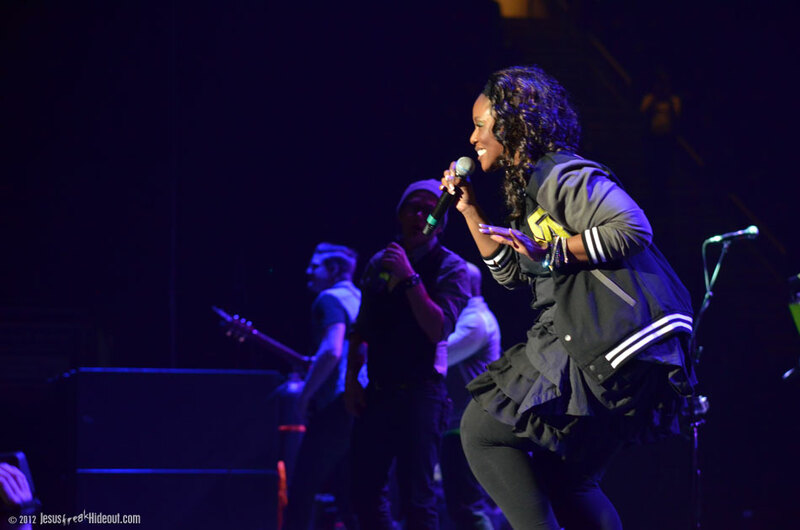 Keeping the hits coming, quite literally, Britt announced the next performer, and Mandisa stepped out to greet the Hershey, PA audience. 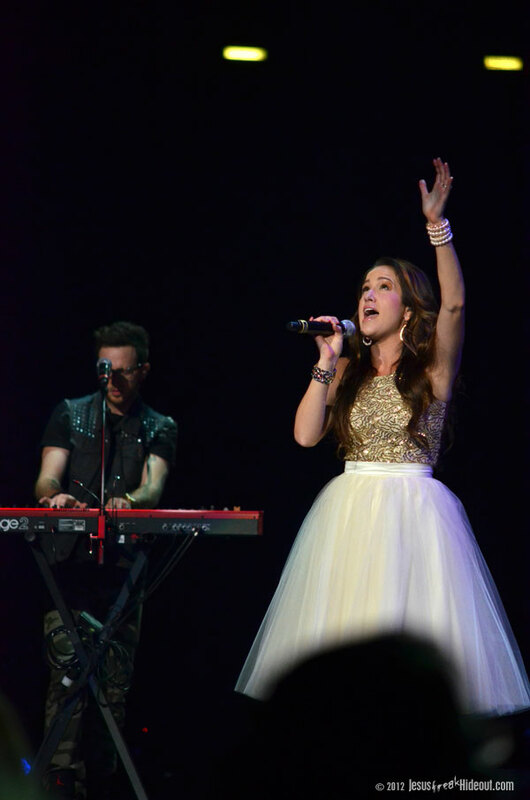 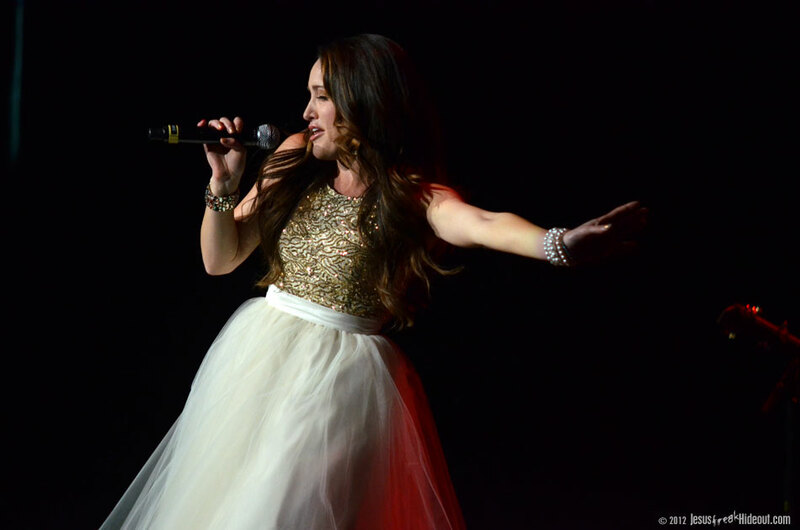 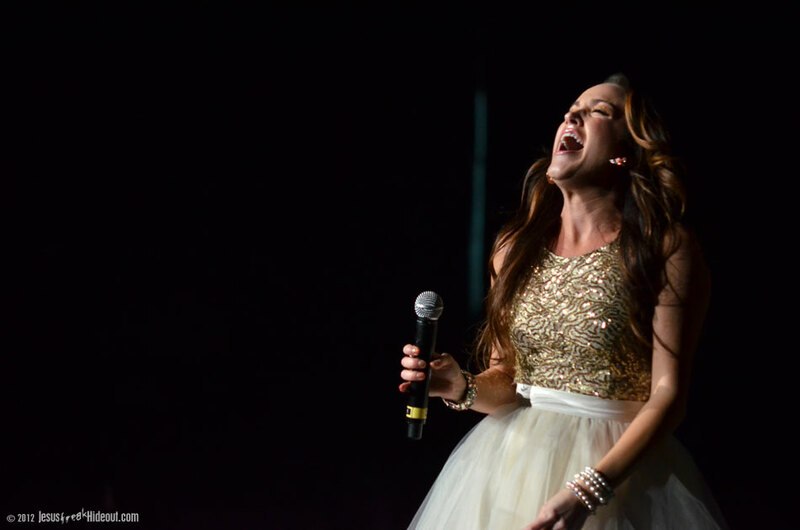 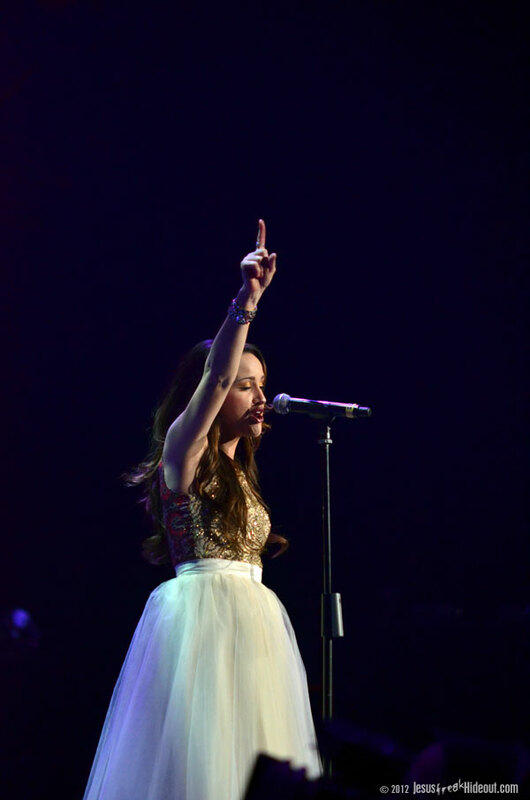 She opened with a medley of sorts of some of her most-known songs, closing it with "Free," after which she decided to share with the audience about her American Idol experiences, urging the audience to pray for the salvation of Simon (in order for him to do great things for the Kingdom). 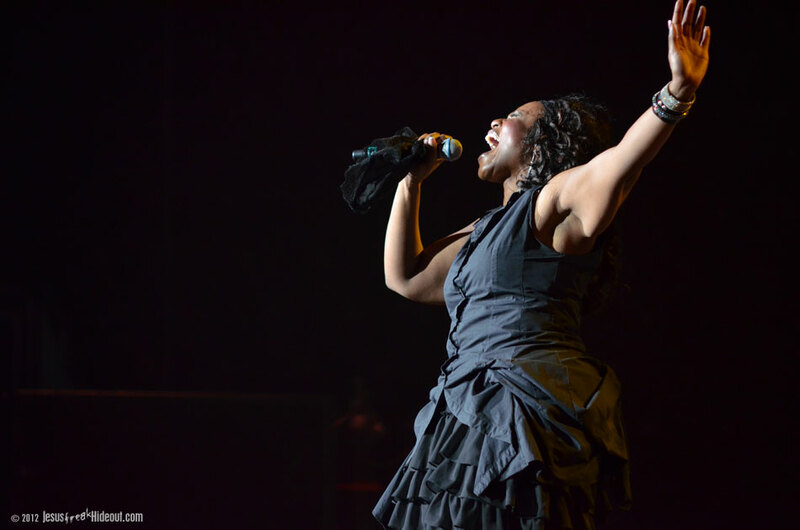 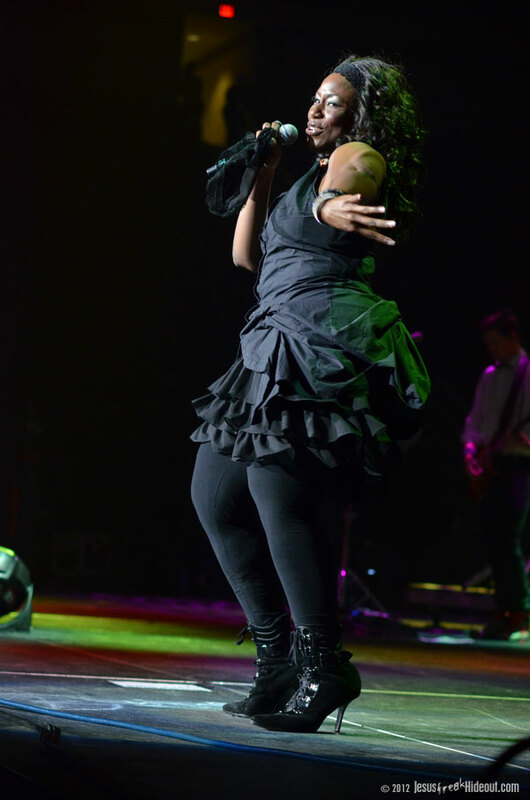 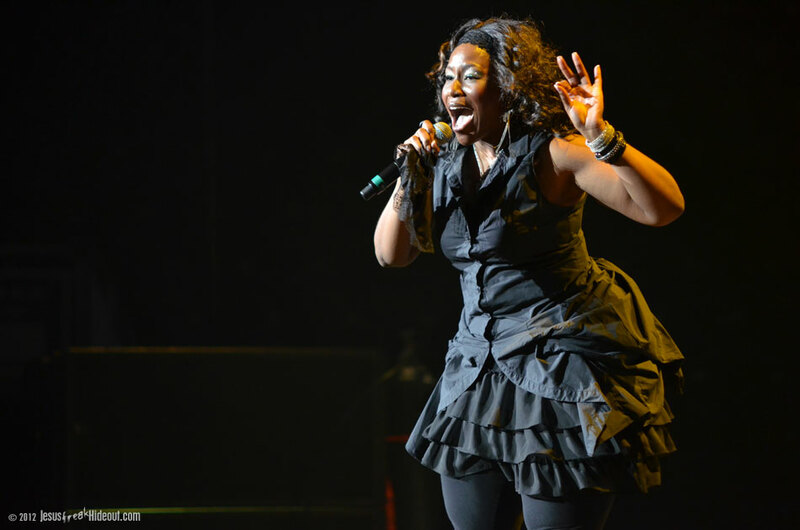 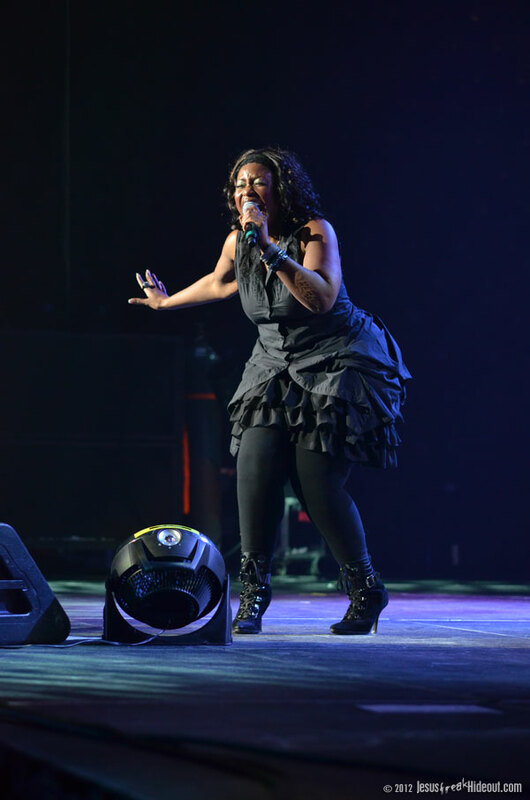 She then performed "Stronger," followed by "Good Morning," for which everyone who'd performed up until that point came back to support Mandisa on the song (including Toby). 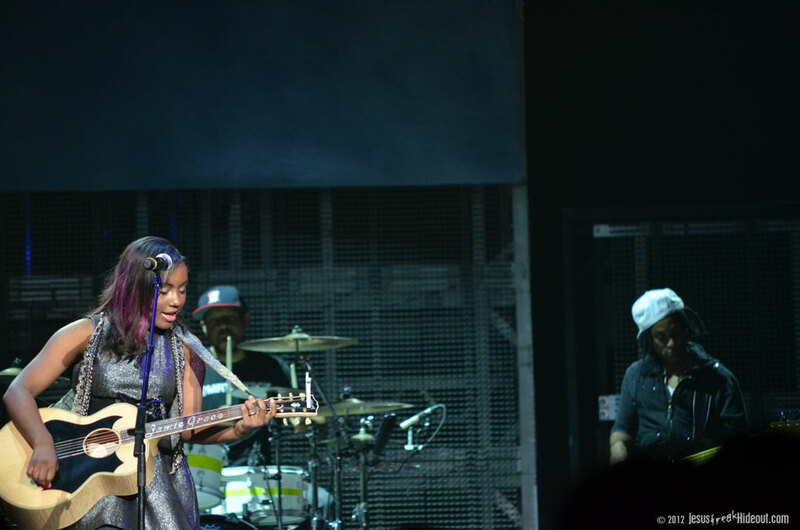 When the song finished, she introduced the next performer and left. 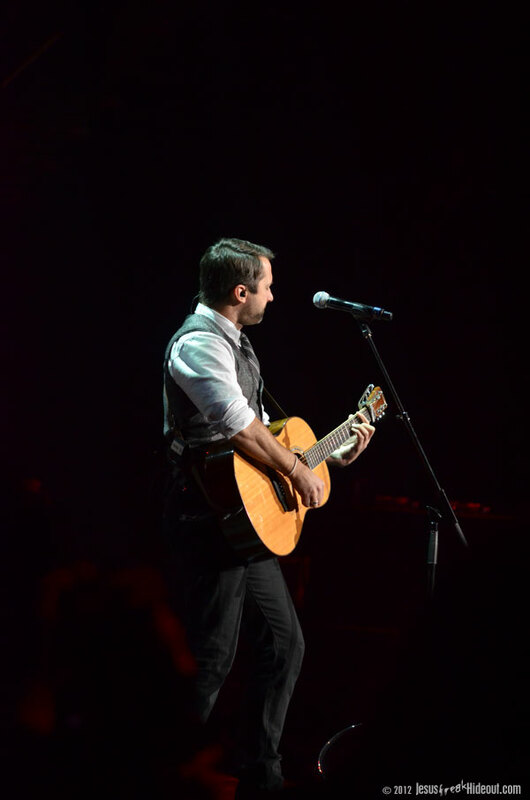 Brandon Heath brought a different musical feel to the night with his acoustic flavor, opening with his hit "Your Love." 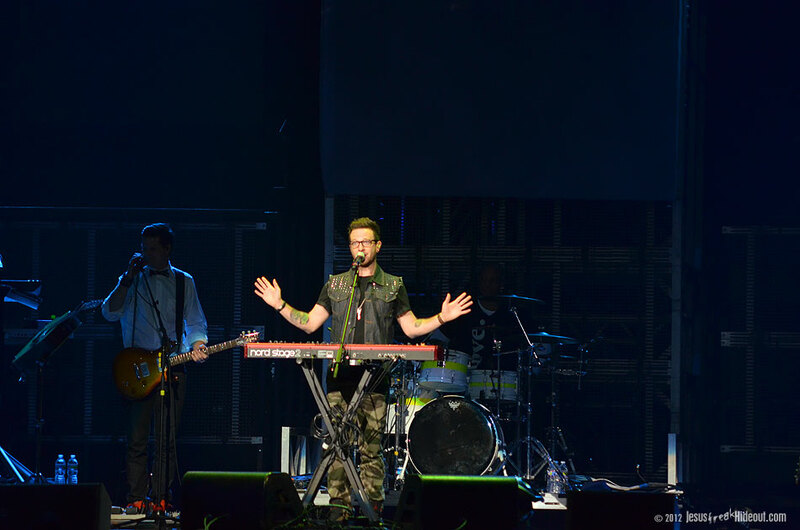 Unfortunately, I missed most of the rest of his set when I met up with a friend at this point in the set (it was a now-or-never kind of timing), but I know that Brandon followed "Your Love" with "Jesus In Disguise" and "Give Me Your Eyes" before an intermission began after a sponsor message for the ministry Food for the Hungry. 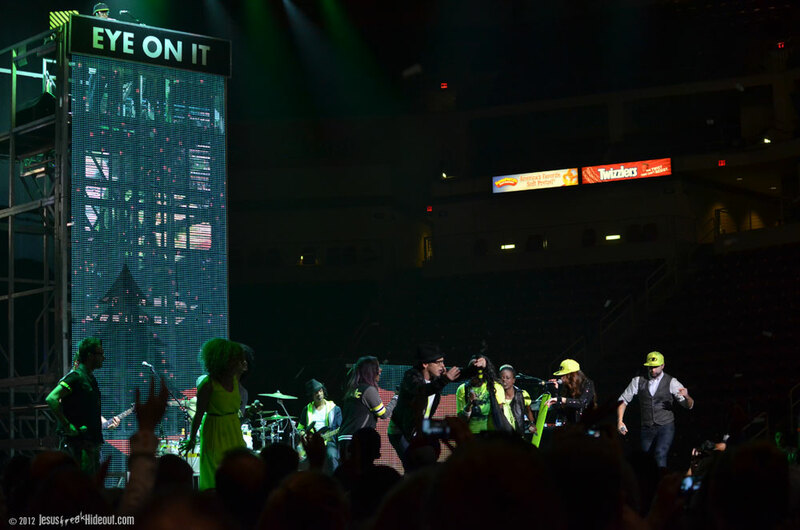 A nice, lengthy intermission preceded the night's main event. 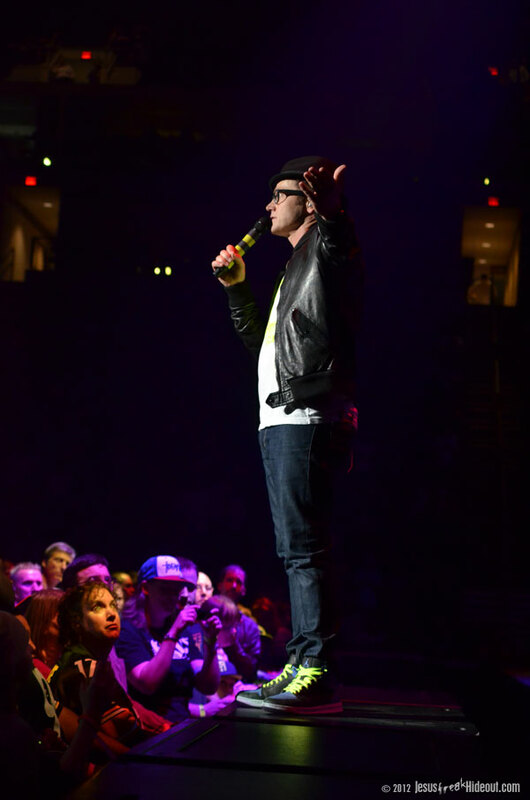 If anyone came hoping to see more of the opening acts and less of TobyMac's music, they were sorely in for a big disappointment. 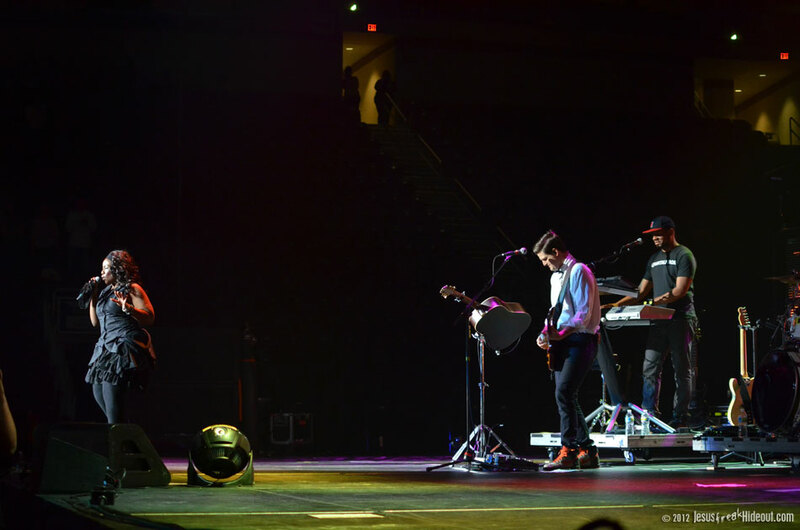 However, Toby and the Diverse City band put on an unparalleled live performance, so hopefully any of such concert-goers exited the arena satisfied with a great live show from Toby and his team. 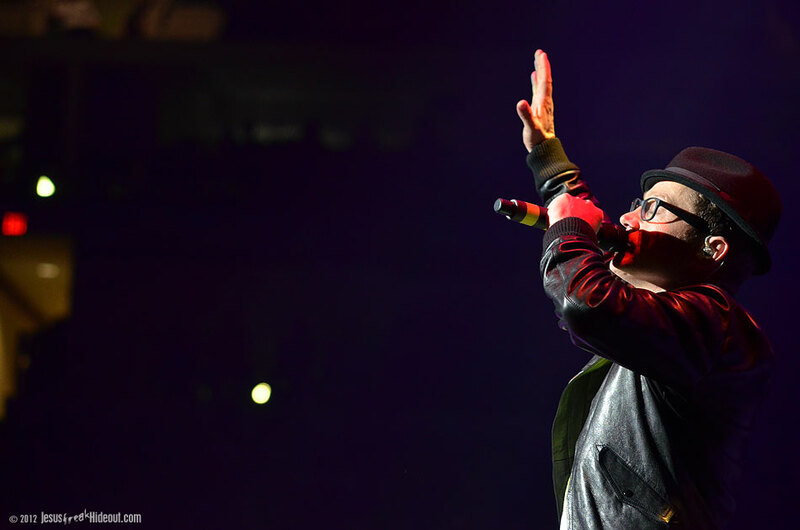 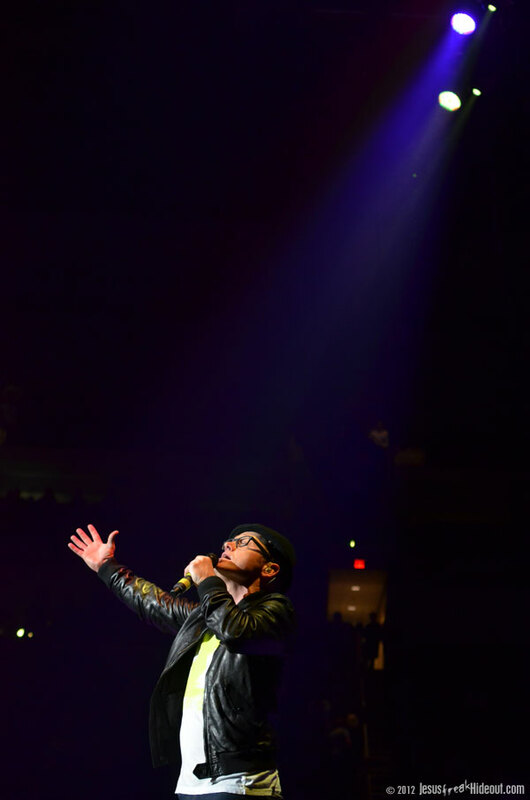 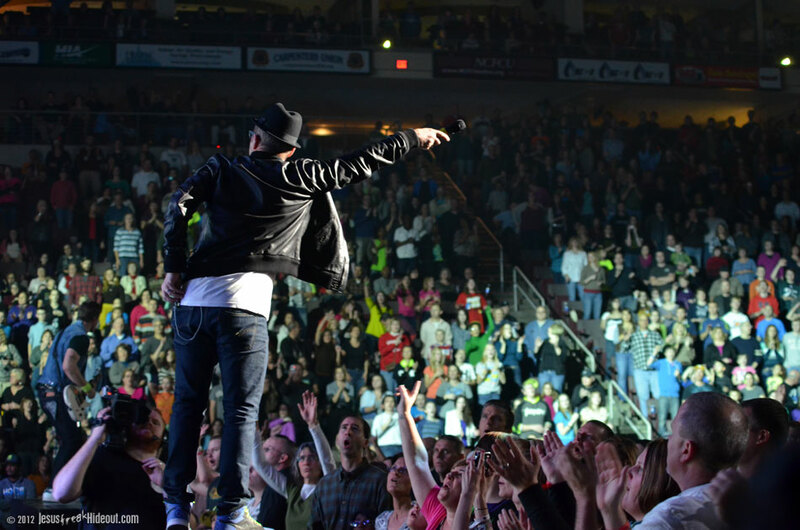 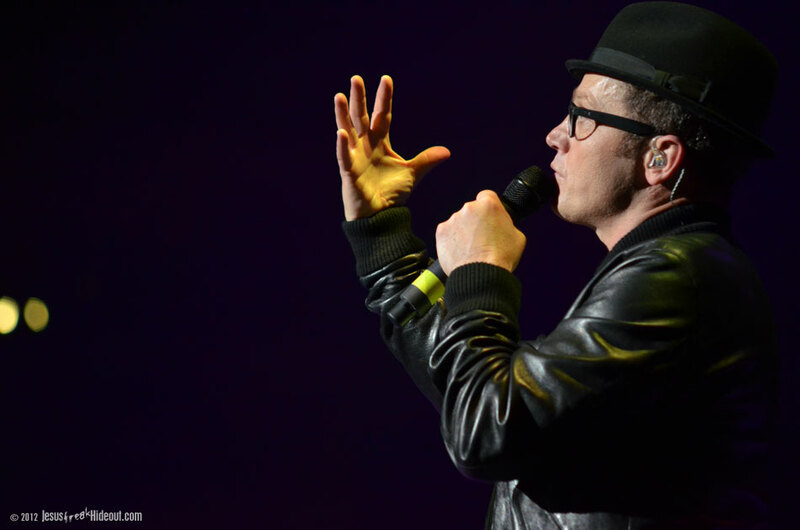 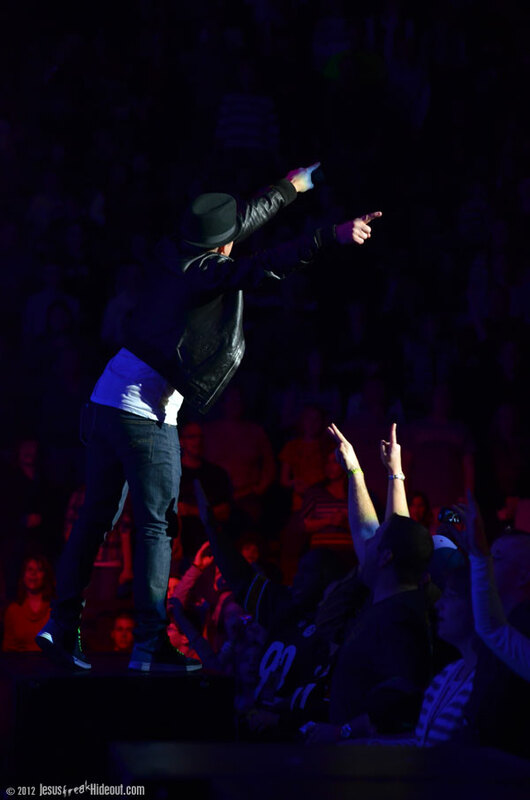 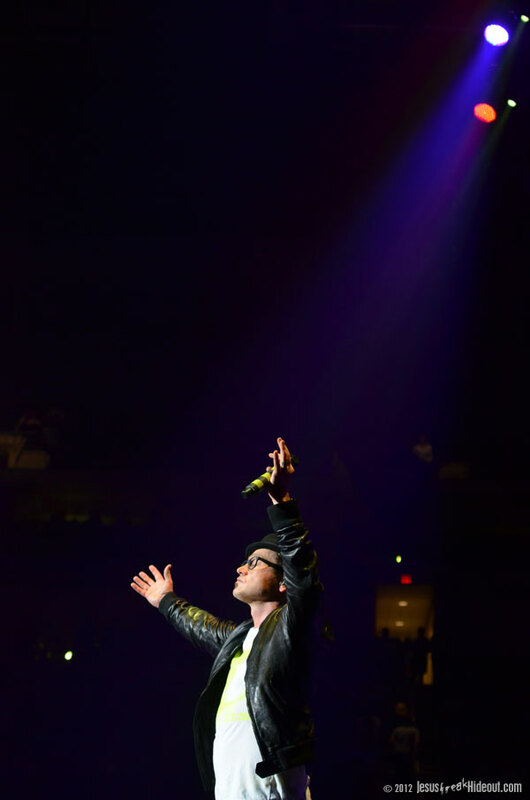 After an instrumental lead-in, TobyMac opened with one of his classics, "Made to Love," before continuing on with "No Ordinary Love" and "Tonight." 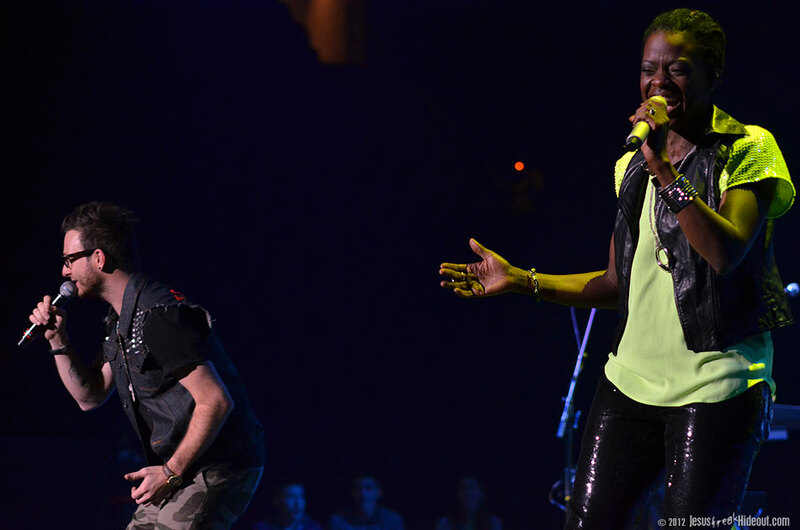 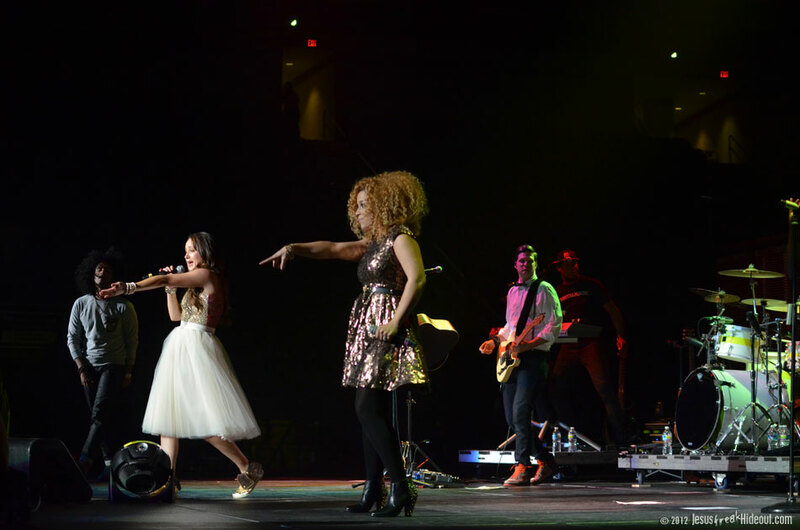 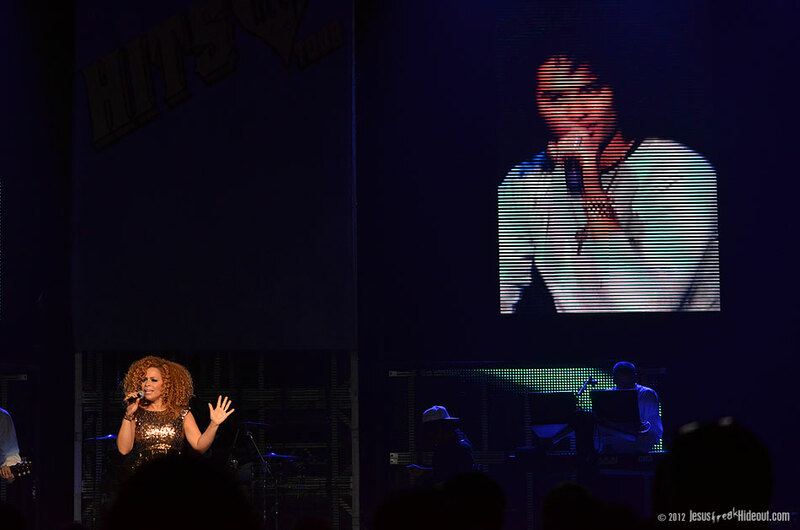 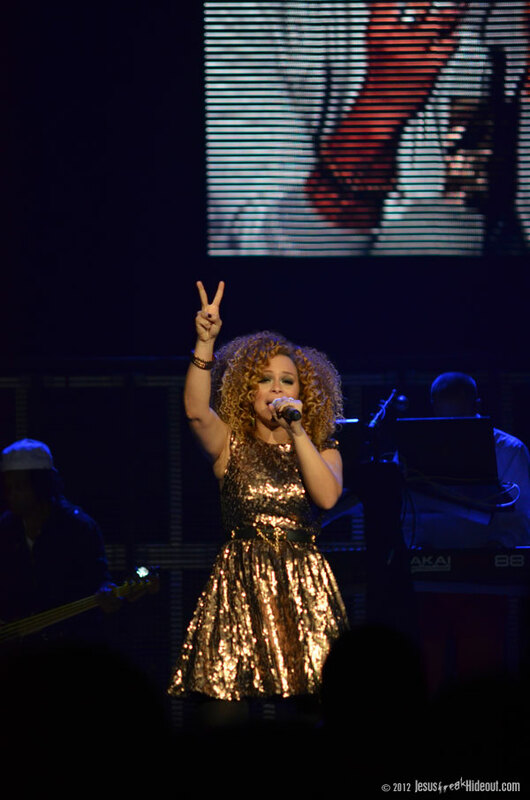 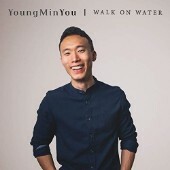 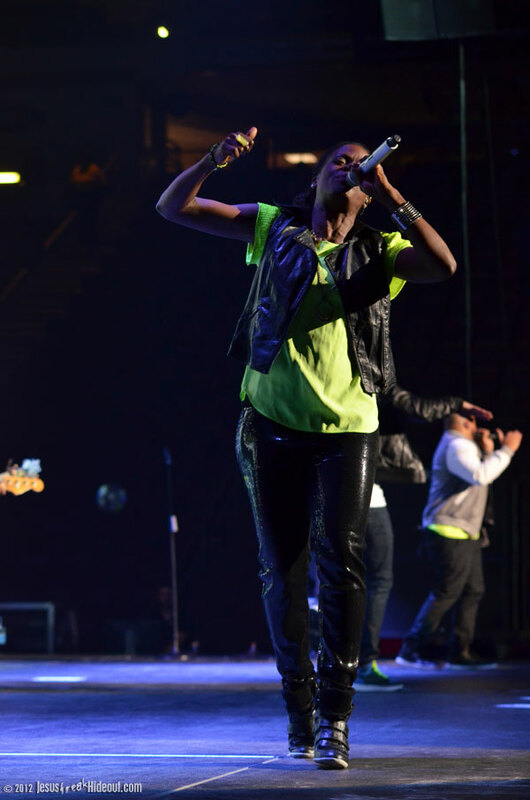 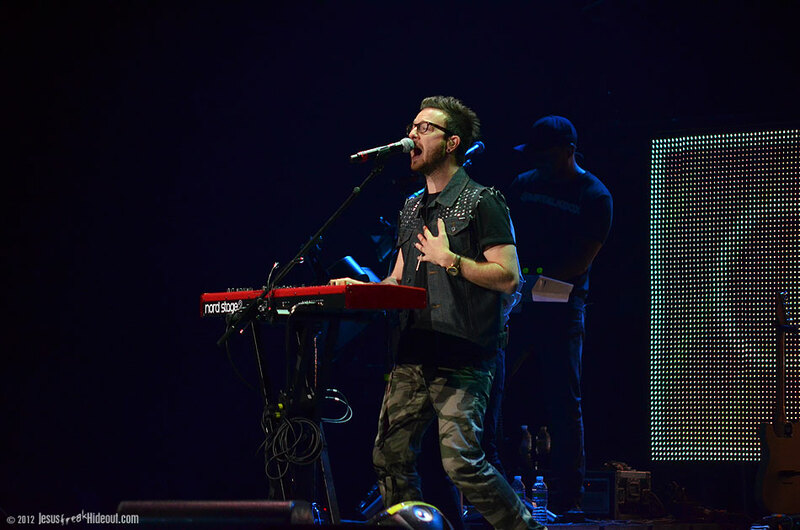 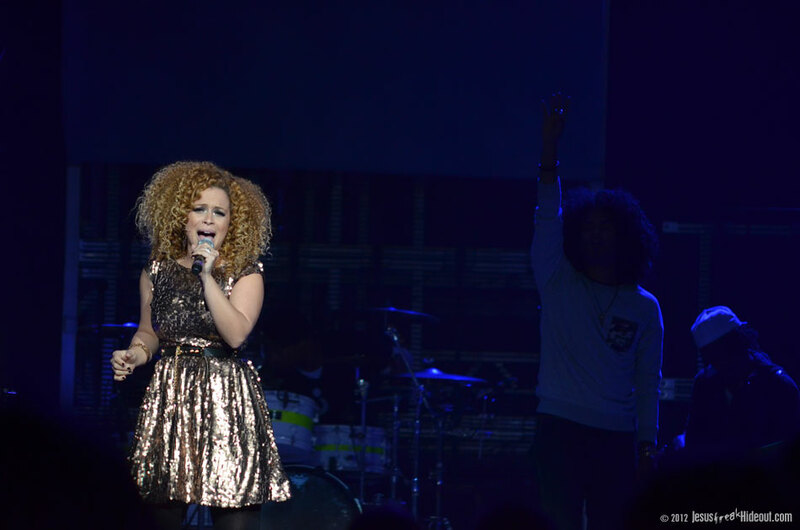 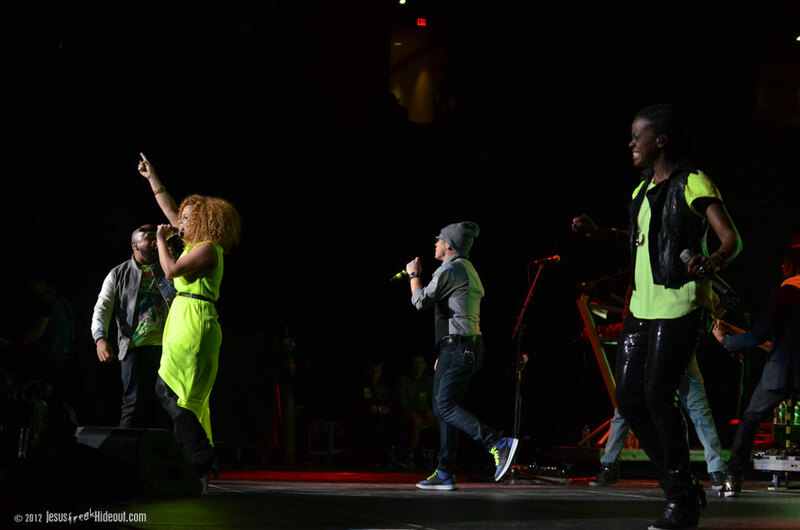 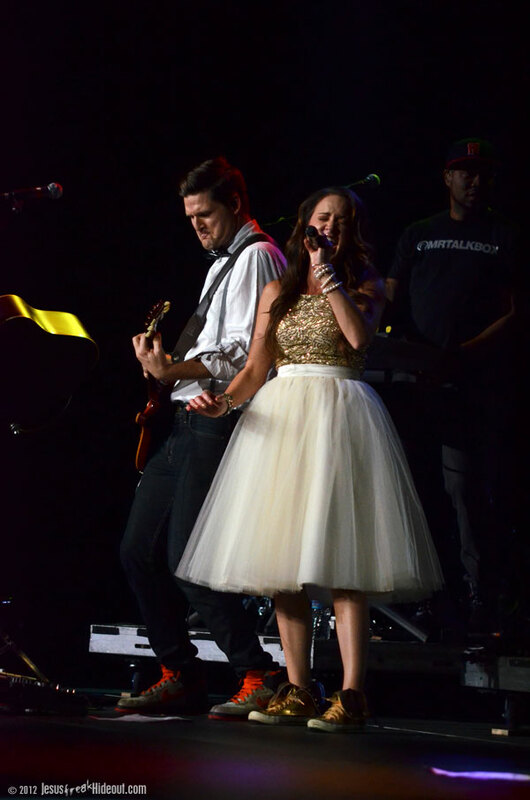 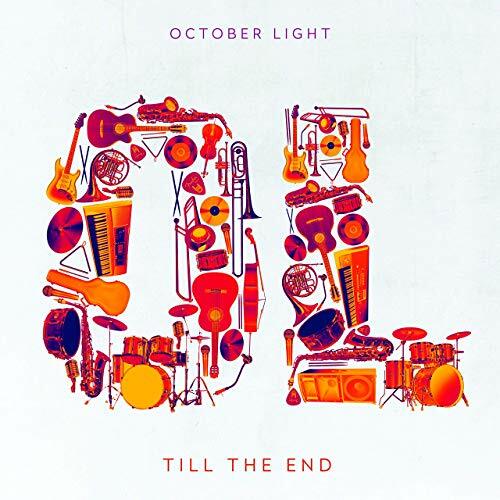 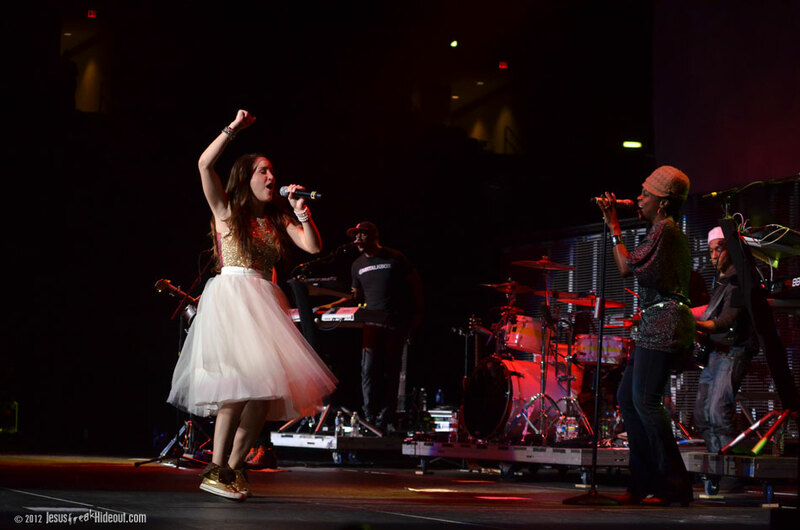 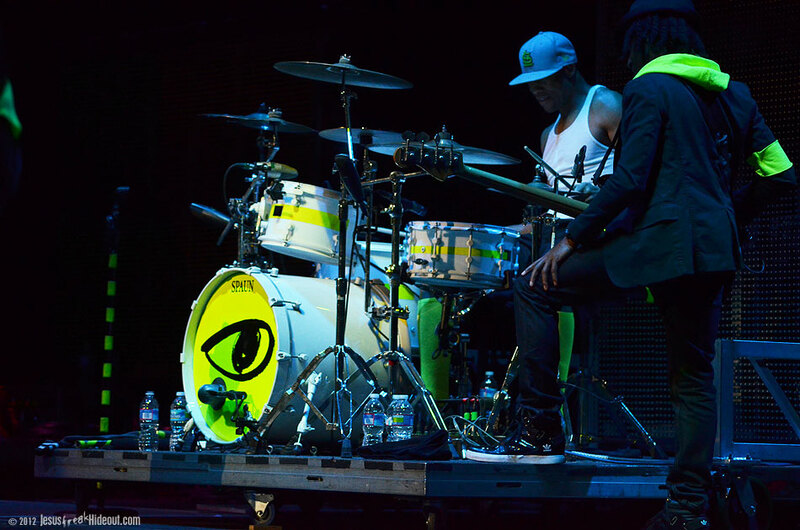 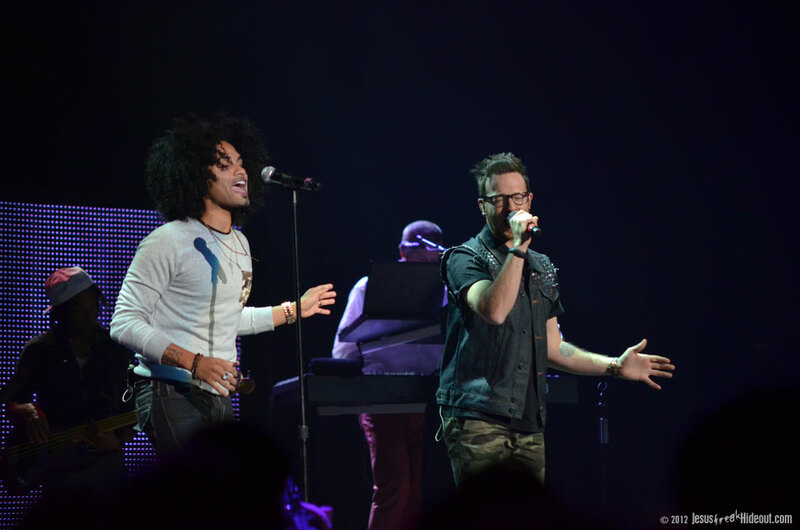 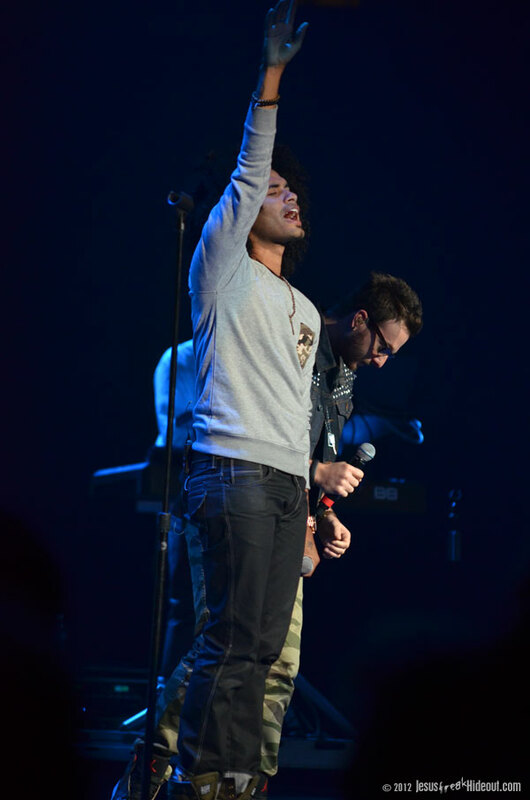 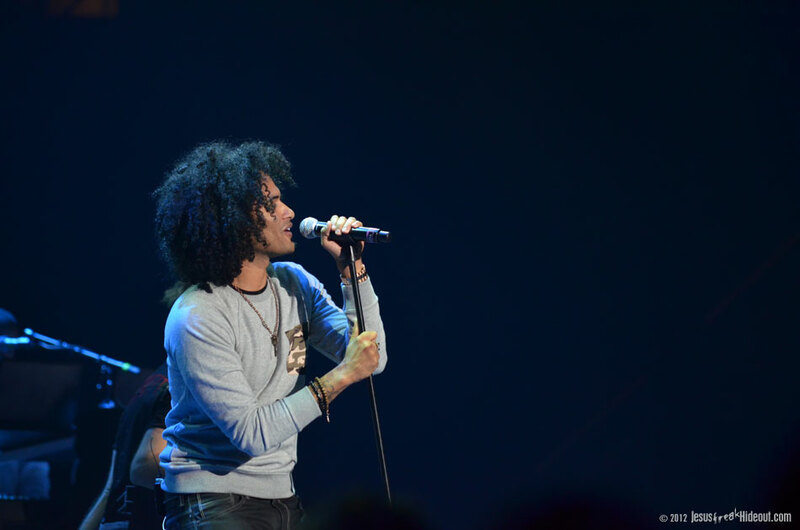 The first cut of the night from his latest, GRAMMY-nominated album, Eye On It, appeared in the form of "Unstoppable," for which Blanca from Group 1 Crew joined Toby to reprise her portion of the track live. 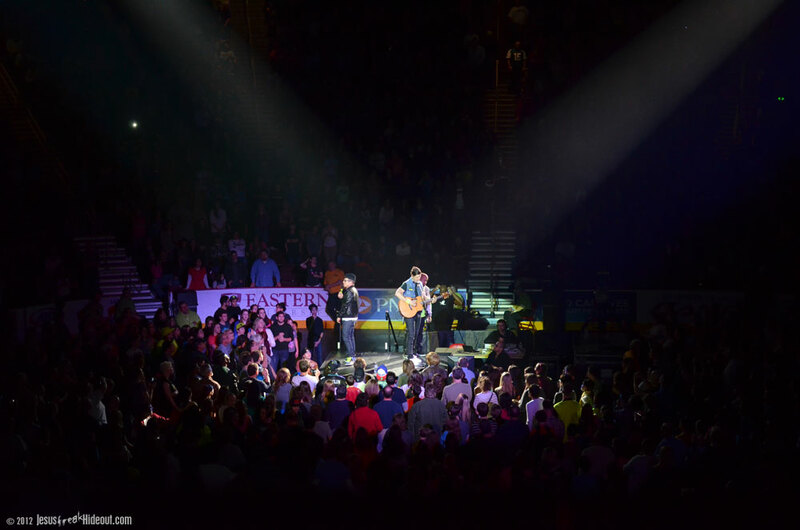 Toby then paused to greet his Hershey crowd and tell some of the backstory behind the song "Steal My Show." 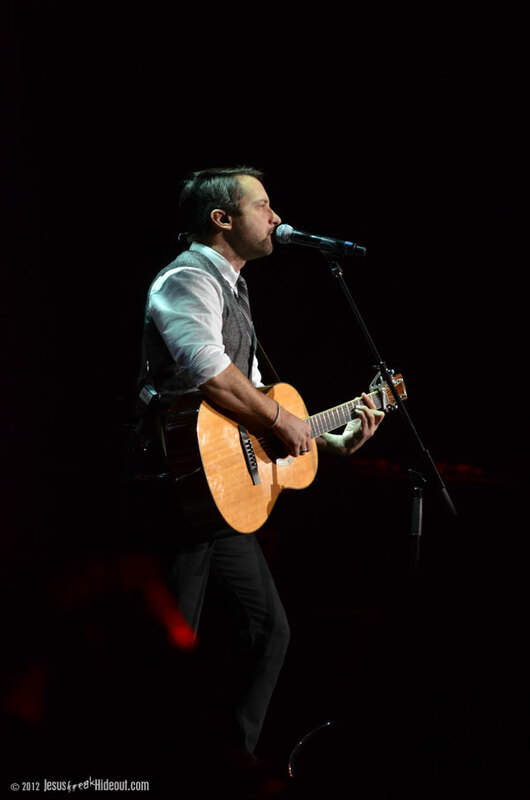 He explained that he and his family sing songs during clean-up time around the house, and "Steal My Show" was a tune that was born out of that time. 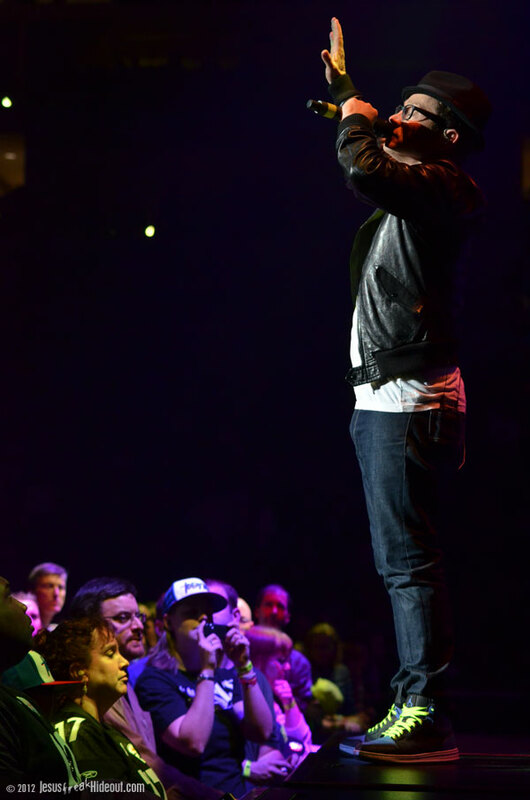 He said that one of his children asked why he'd want anyone to steal his show, and he said that he wants God to have the spotlight, not him. 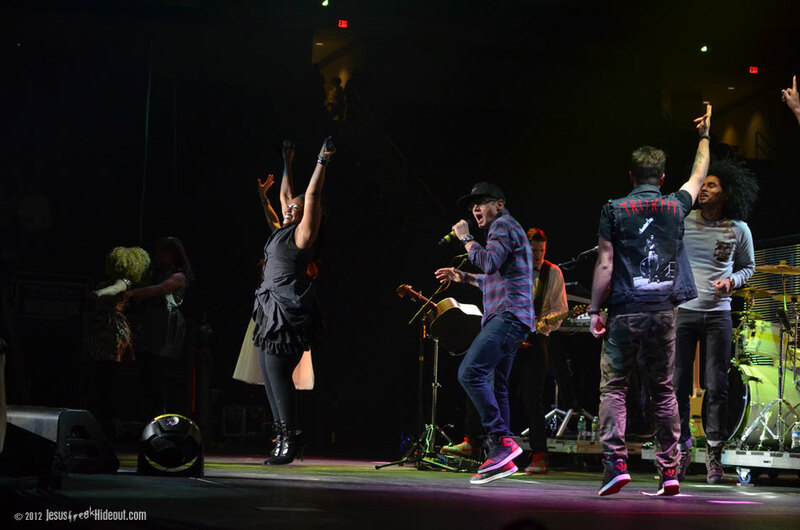 It was a great lead-in to the song. 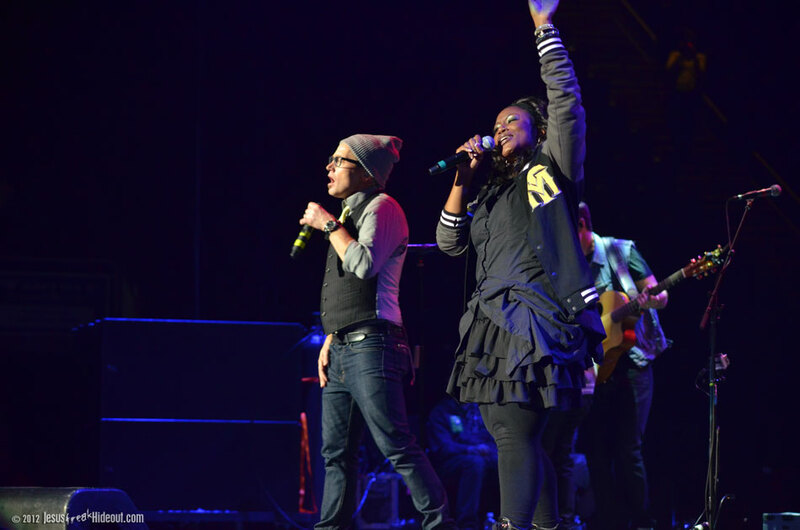 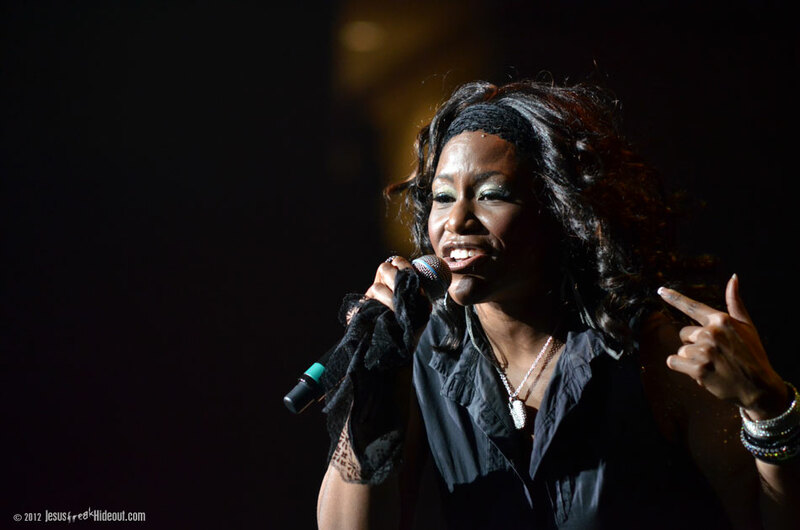 After that, Mandisa joined Toby for "Lose My Soul" and then his show really began to amp up with "Boomin" and "Eye On It." 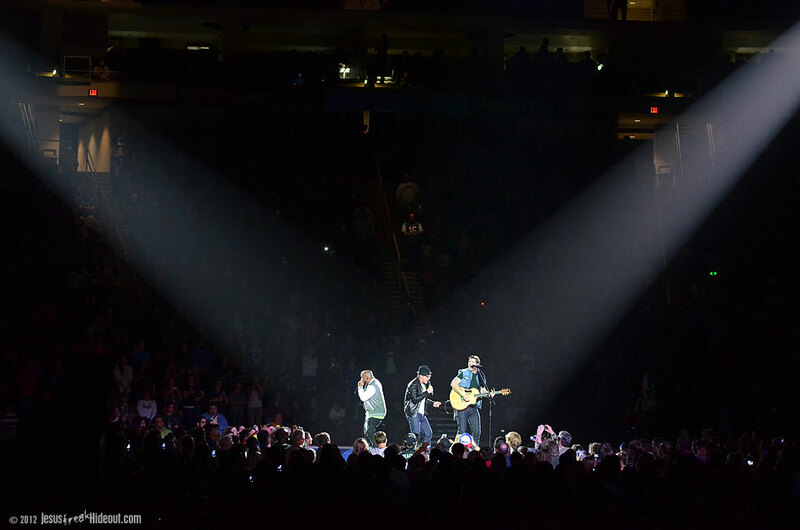 At this point, the spotlight fell on the staggeringly tall tower in the center of the stage where DJ Maj (and *cough* a strange guest who just... stood there next to him) performed a mix of pop tunes, including the latest TruDog song, while Toby made his way to the back of the audience on the arena floor for his acoustic set. 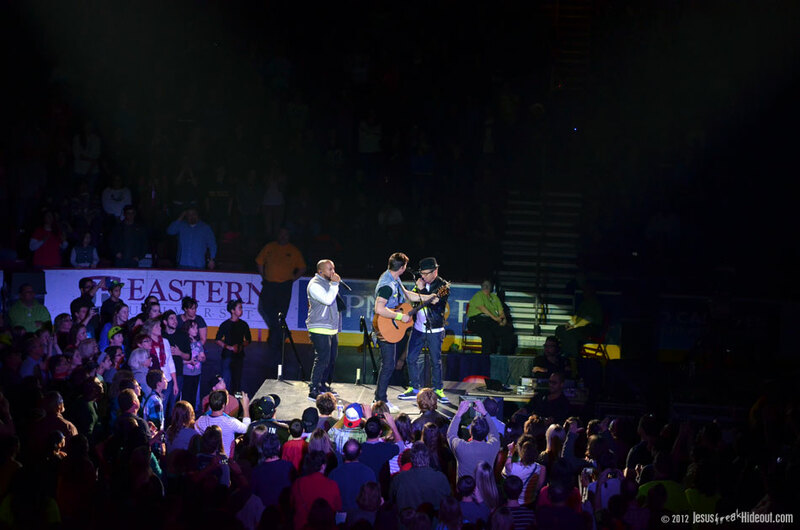 With just Gabe and Tim as accompaniment, Toby talked a bit to the crowd and played "One World," "Hold On," and "Gone." 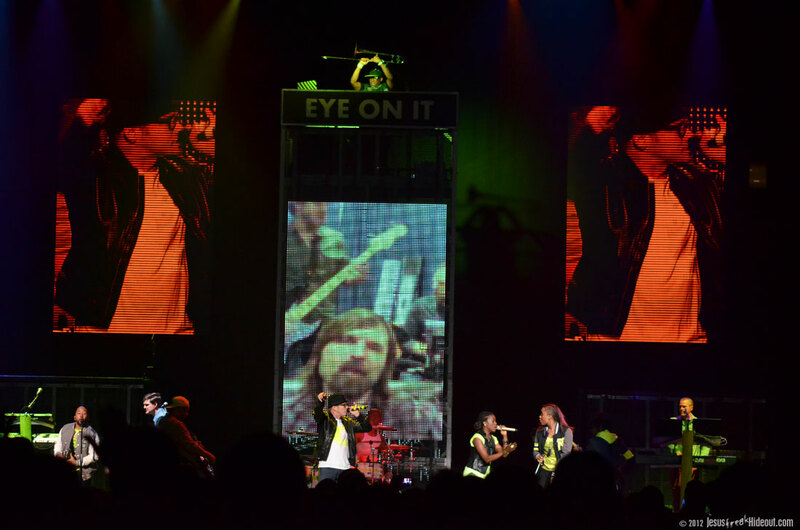 He then talked a bit about the song "Forgiveness" and launched into that highlight from Eye On It, which featured Lecrae performing his parts on the video screens at the back of the stage. 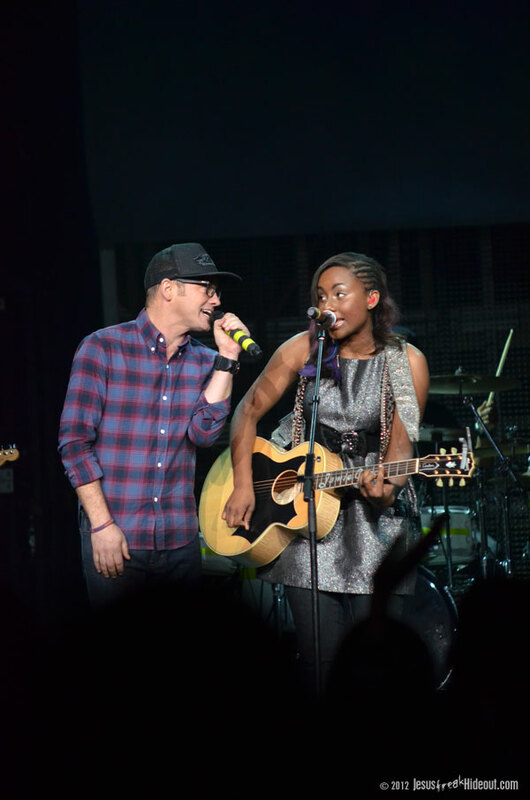 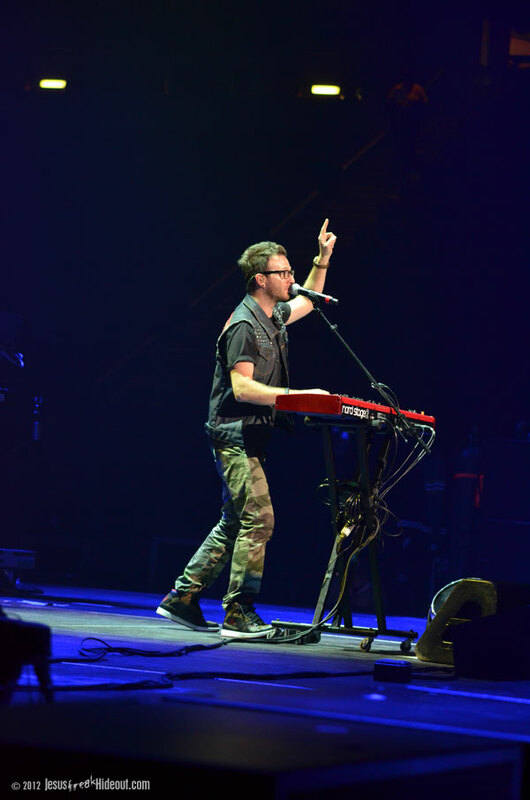 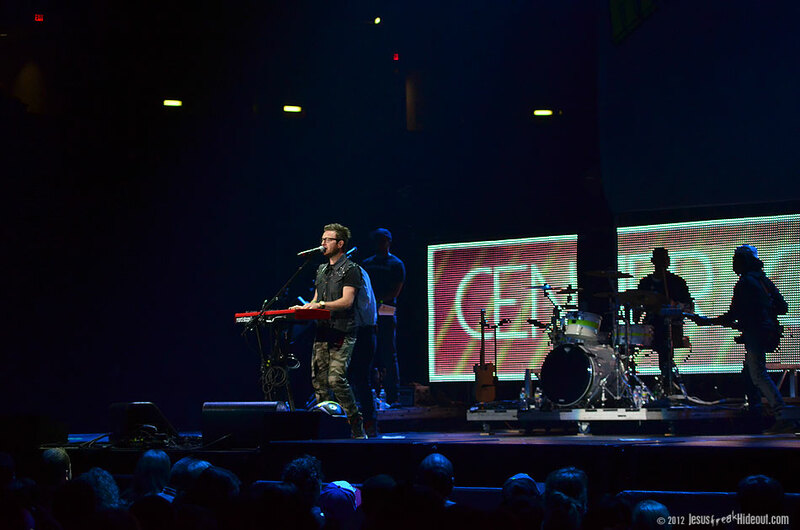 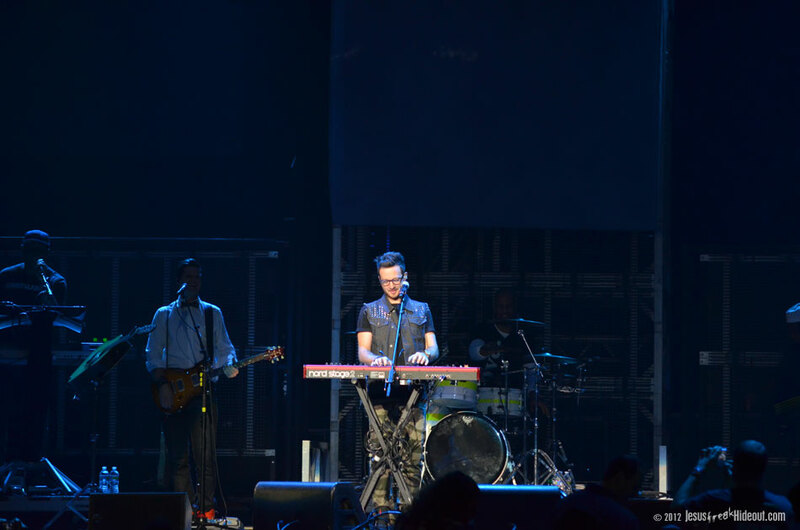 Once Toby and the band were back on the main stage setup, he performed the standout "Get Back Up," from Tonight, which featured an appearance by Chris August, followed by "Funky Jesus Music," for which Jamie Grace joined the gang on stage. 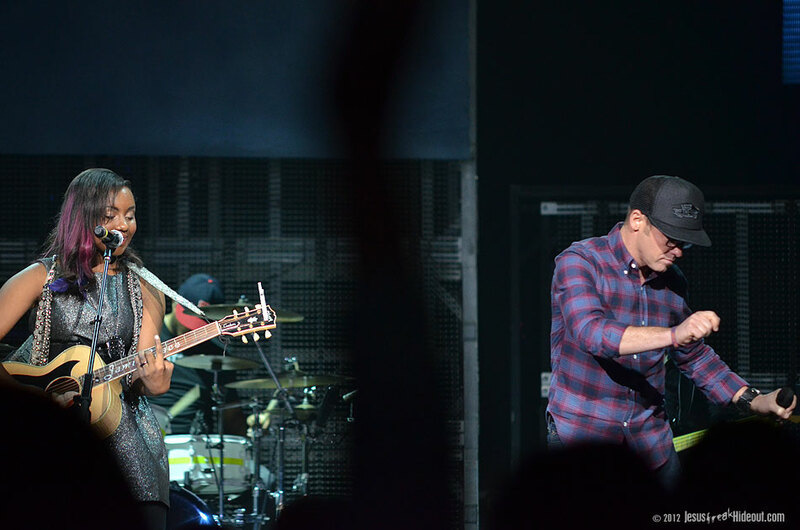 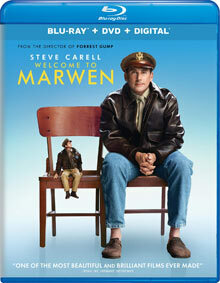 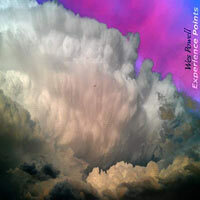 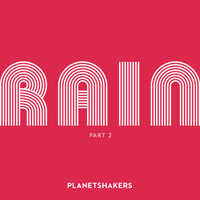 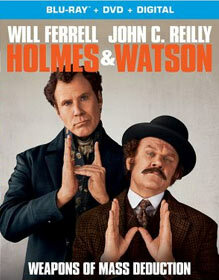 Finally, the show began to wind down a bit for the runaway hit "Me Without You" and the pop ballad "City On Our Knees." 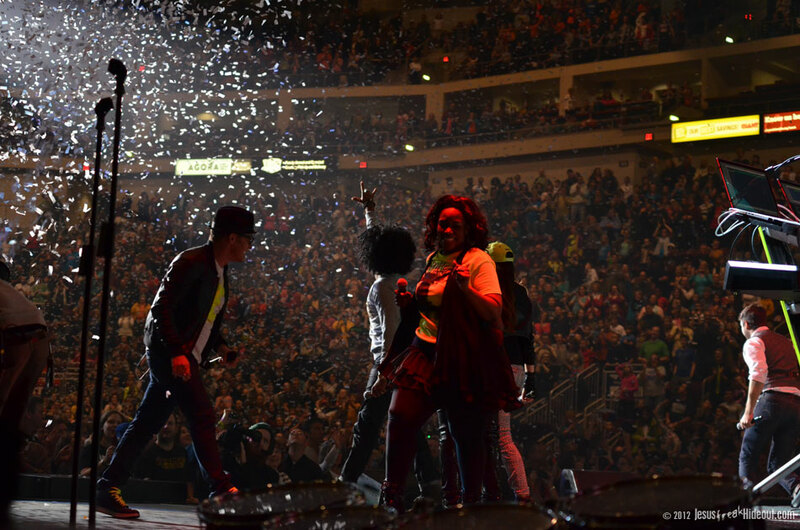 Everyone who performed during the night then joined Toby for the festive "O Come Let Us Adore Him," complete with loads of paper confetti to simulate snowfall. 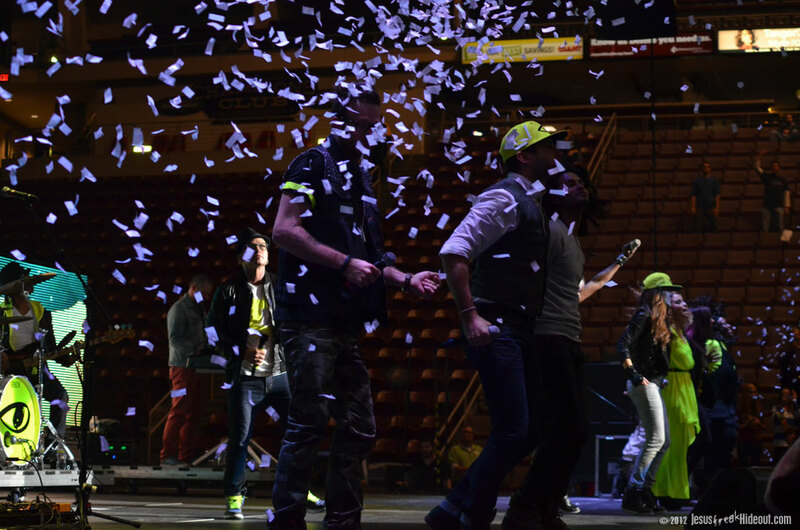 The song then transitioned into a boisterous take on "Winter Wonderland" before the night drew to an official finish. 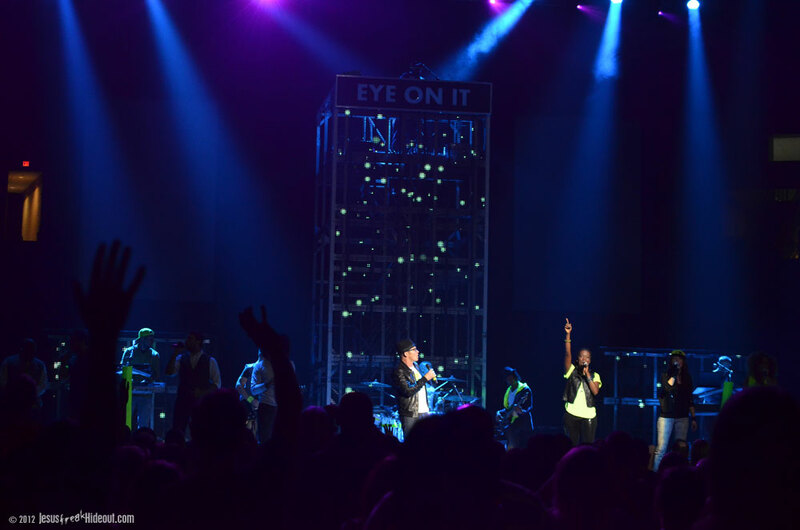 While I understand how impractical it is for more shows to be as well-planned and integrated as this one, it was still a treat to see so many artists working together and playing together for a truly unique night of Christian pop music. 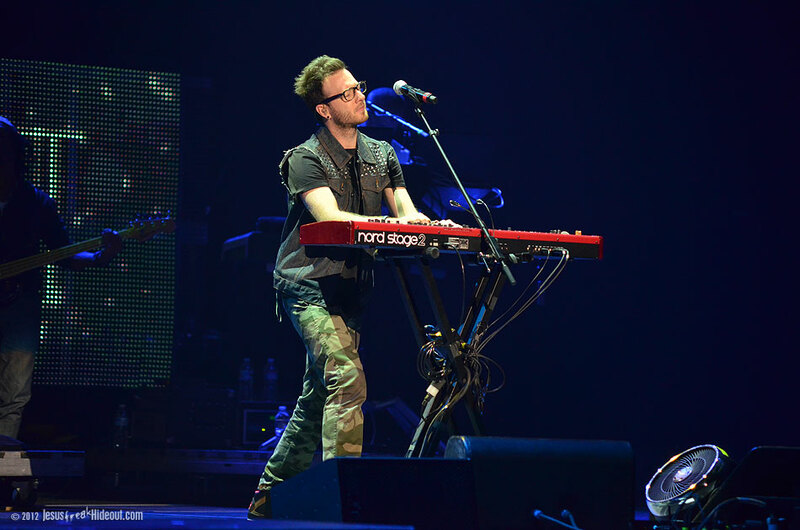 And while the tour will have officially wrapped by the time this coverage hits the web, I wouldn't be surprised if Toby rounded up the troops for another run of this tour (or a similar one) in the near future. 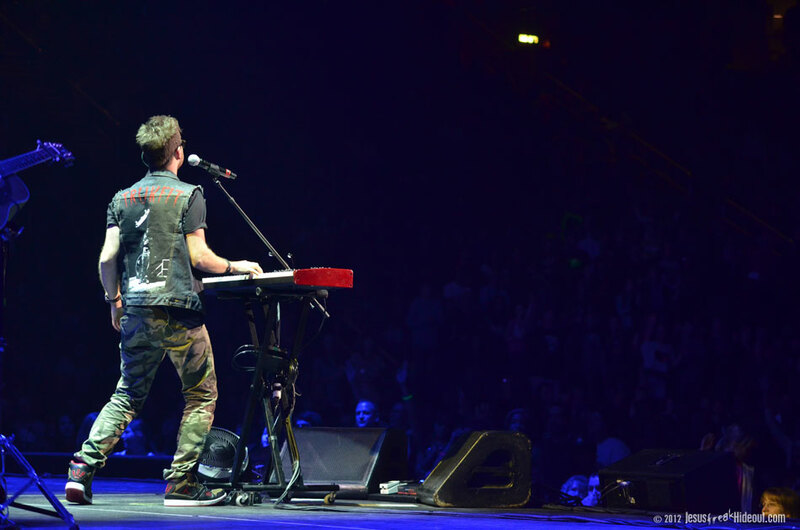 I'd love to see more shows like this hitting the road!